Protocol and Public Relation Dept. International Islamic University Islamabad (IIUI) leadership has felicitated Rahila Hameed Khan Durrani of Pakistan Muslim League Nawaz (PML-N) on assuming her duties as Speaker Balochistan Assembly. Rector IIUI Dr. Masoom Yasinzai and President IIUI Dr. Ahmed Yousif Al-Draiweesh congratulated her on becoming first ever woman in the history of Balochistan who was elected as Speaker Balochistan Assembly. It is pertinent to mention that Rahila Hameed Khan Durrani is also member of Board of Governors and member of Selection Board of IIUI. Professional Grooming Society of Department of Education (Female Campus) IIUI organized a competition on presentation skills. The main objective of Professional Grooming Society is to improve students’ self-confidence, professional conduct, skills & etiquette for attaining a positive impact in both personal and professional lives. Material for presentation making was provided to the contestants along with time duration in the competition which was held at the auditorium, Fatima tuz Zahra Block. Ms. Asma Mansoor (Lecturer) Department of English and Dr. Munazza Mahmood (Assistant Professor) Department of Education, IIUI evaluated the presentations of participants. At the end Ms. Asma Mansoor declared results of the competition and shared valuable suggestions with the students for improving their presentation skills. Mr. Shahid Ijaz, visiting faculty member of International Islamic University, Islamabad (IIUI) secured Top position in Federal Public Service Commission (FPSC) recruitment process for recommendation of Post of Psychologist in Post Graduate colleges of Federal government. According to information available from the psychology department of the university, Mr. Shahid Ijaz is first student of Department of Psychology (Male Campus) who completed his BS degree in 2014 with 4.00/4.00 CGPA and earned Gold Medal and serving as a visiting Faculty member in department since one and a half year. Chairman department of Psychology, Dr. Tahir Khalily told that Mr. Shahid Ijaz’s interest is in integration of theoretical orientation of cultural and religious models with modern Psychology. He conducted research with Dr. Tahir on, “Relation of Mindfulness in Salah Prayer with mental Health” which was lauded in 2nd International Conference on mental health in Malaysia. Alumni Shahid Ijaz has also served as a coordinator of Internet Addiction Grove Group in IIUI for one year and is engaged in a grand research project on dimensions of Internet Addiction in Pakistan under supervision of Dr. Tahir Khalily, chairman department of psychology. 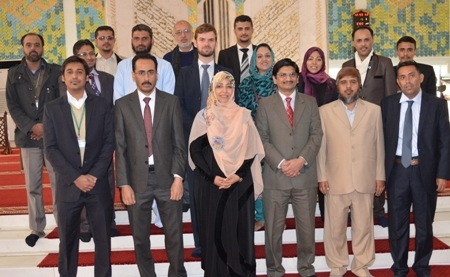 A meeting to review the scholarships for Pakistani students was held at Imam Muhammad ibn Saud Islamic University in Riyadh, Saudi Arabia in which the members of a high level committee recommended that teachers from International Islamic University will be invited in upcoming events such as conference, while exchange of delegation of students between IIUI and Imam Muhammad ibn Saud Islamic University would be further expedited. The meeting was attended by Minister of Education Dr. Ahmed bin Mohammed Al-Issa KSA, Vice President Imam University, Dr. Abdullah Aba Al-Khail, Dr Fauzan Al-Fauzan, Acting Head, Imam Muhammad Ibn Saud Islamic University and President IIUI Dr. Ahmed Yousif Al-Draiweesh. President IIUI apprised the meeting about the activities of IIUI and future plans of the university. He lauded support of Custodian of the Two holy Mosques and President of Pakistan Mr. Mamnoon Hussain for support to IIUI. International Islamic University leadership has expressed deep sorrow and grief over sad demise of Justice Arshad Mahmood Tabassum of the Lahore High Court (LHC), Rawalpindi bench who was an IIUI Alumni. Justice Tabassum died of heart attack at his residence a couple of days ago. He did his LLB in Shariah and Law from the International Islamic University, Islamabad, while his two sons Aqeel Arshad and Adeel Arshad, and his daughter-in-law are also IIUI graduates. Rector IIUI Dr. Masoom Yasinzai and President IIUI Dr. Ahmed Yousif Al-Draiweesh have prayed for the eternal peace for the departed soul. In a message, they said that IIUI is proud of Justice Tabassum who served humanity and disseminated the message of justice and peace which he learnt from the university. President International Islamic University, Islamabad (IIUI) called on Ambassador of Pakistan to the Kingdom of Saudi Arabia (KSA) Manzoor ul Haq in Riyadh. During the meeting, issues of mutual interests and cooperation between IIUI and Saudi universities were discussed. 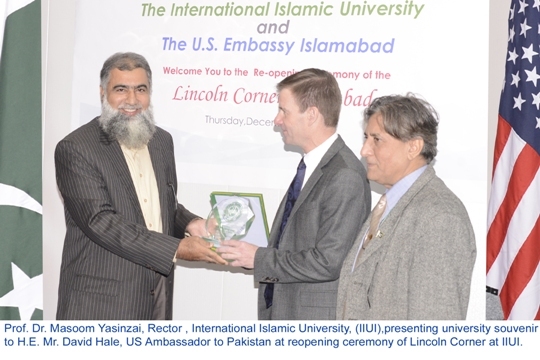 The ambassador hailed IIUI’s role saying that it has been disseminating Islam’s true message and providing quality education integrated with teachings of Islam. He also appreciated the joint ventures of IIUI with Saudi universities and assured his maximum cooperation for the promotion of education. Dr. Al-Draiweesh apprised the Ambassador about the recent visit of Pakistani judges to Saudi Arabia which was arranged by the Shariah academy of the university. The IIUI President also briefed the ambassador regarding upcoming conferences, seminars and workshops which include a moot on judicial system in light of Islam, conference on Islamic universities’ role. He also told the ambassador about the recent visit of Dr. Abdullah Abdulmohsin Al-Turki (Secretary General, Muslim World League) to IIUI and a seminar under his chairmanship which discussed role of religious leadership in combating terrorism and sectarianism. The ambassador lauded the activities and hoped IIUI would further improve its ranking among the leading universities of the world. At the end, Dr. Al-Draiweesh presented his book to the ambassador which has been written on Pak-Saudi relations. 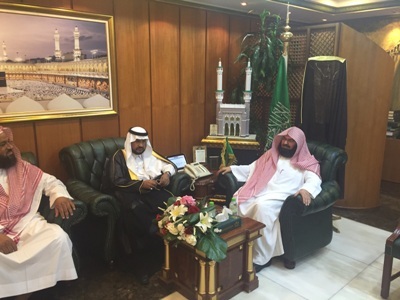 President International Islamic university Islamabad (IIUI) Dr. Ahmed Yousif Al-Draiweesh discussed university future goals and its progress with famous businessman of Kingdom of Saudi Arabia Abdullah Al-jamiya who is also well known for his Philanthropy. 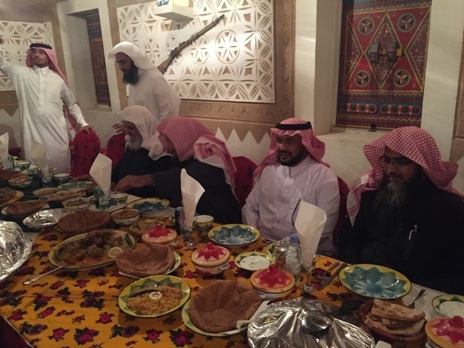 Abdullah Al-jamiya had arranged a luncheon in the honor of Dr. Al-Draiweesh at his farmhouse. 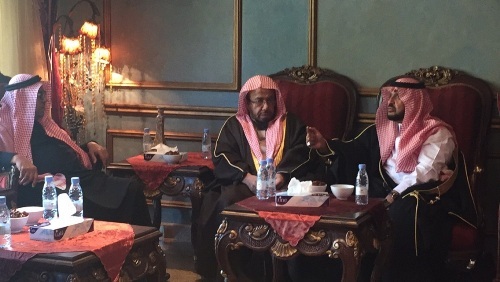 The luncheon was also attended by Advisor KSA Royal courts Dr. Abdullah bin Muhammad Al-Multliq, members of supreme council of Ulema KSA and members of Al-Jamiyah family. Both the personalities, discussed development of IIUI and President IIUI apprised about the university its services in the meeting. He also briefed that university has core plan of building a mosque at its new campus. Dr. Abdullah bin Muhammad Al-Multliq hailed IIUI and role of Dr. Al-Draiweesh in further strengthening Pak-Saudi relations. A Four-day international workshop on Primary and Secondary Sources of Prophet’s Seerah organized by International Islamic University, Islamabad (IIUI) commenced here at its Faisal Masjid campus on Monday. The workshop is being organized by Iqbal International Institute for Research and Dialogue (IRD) and Dawah Academy of the university. Dr Yasin Mazhar Siddiqi, Ali Garh Muslim University, India is the guest speaker of the workshop who also spoke to the inaugural ceremony of workshop. The opening ceremony was presided over by Rector IIUI Dr. Masoom Yasinzai, Executive Director IRD Dr. Mumtaz Ahmed, Director Dawah Dr. Sohail Hassan, while other senior officials of Dawah Academy, Islamic Research Institute and IRD were also present on the occasion. “Muslims must introduce Quran to non-Muslims as it would help in removing misconceptions about Islam” said Dr Yasin Mazhar Siddiqi. He added that the utmost desire of every Muslim should be to learn Prophet’s Seerah in its true essence. We have come to know about Allah through Prophet, he said. He added that Holy Prophet (PBUH) taught to honour women and told the world that Islam is staunch supporter of women rights. Dr. Masoom Yasinzai, while speaking on the occasion said that Research and preaching are equally important. He furthered that Prophet is mercy for all the mankind and Quran is also a universal book which guides the humans in every aspect of life. Dr Mumtaz Ahmad was of the view that Muslim intellectuals are contributing disseminate teachings of Islam. He also showed his keenness to enrol madrassa students in IIUI which was pointed out by the Rector IIUI in his speech. The workshop would conclude on Thursday, while Dr Yasin Mazhar Siddiqi would deliver lectures on various topics of Prophet’s seerah in sessions of the four-day workshop. 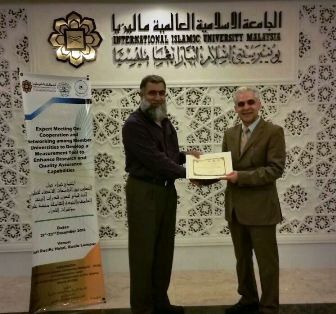 Dr. Muhammad Yasinzai, Rector International Islamic University Islamabad has participated in International Expert Meeting on “Cooperation and Networking among Member Universities to Develop a Measurement tool to Enhance Research and Quality Assurance Capabilities” held at International Islamic University Malaysia. The expert meeting was held with joint efforts of International Islamic University Malaysia and Federation of Universities of Islamic World. Rector IIUI was invited to contribute his reelections and thoughts to develop the comprehensive strategy to promote higher education and research culture in Muslim States. 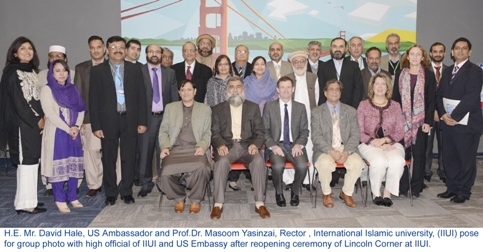 Dr. Masoom also met with number of dignitaries, academician and Vice Chancellors of the universities of Muslim world. He also presented detail briefing about International Islamic University Islamabad, its academic programs, research activates and higher studies. 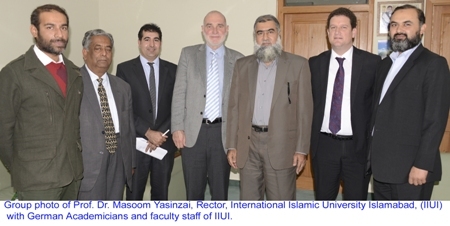 He also shared IIUI contributions, expertise and future plans including joint international academic ventures. 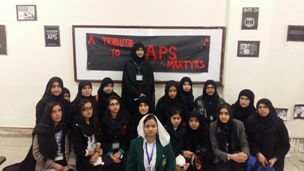 Female Students of BSBI-13 arranged “youm-e- dua” for Martyrs of Army Public School, Peshawar in which they paid rich tributes to martyrs. The students presented dramas, poems and national songs and showed solidarity with the families of the martyrs. The event was supervised by MS. Tahira Noor, lecturer at the department, while it was also attended by Dr. Naveeda Riaz, Acting Chairperson of the department. Speaking on the occasion, Dr. Naveeda Riaz said that nation is united and people of Pakistan are proud of the sacrifice of teachers and students of APS. Tahira Noor urged the students in his speech to disseminate Islam’s message of peace and said that Pakistanis are a nation of peace and tranquility. At the end, dua was also held for the eternal peace of the departed souls of carnage. Department of Urdu (Female) International Islamic University is going to organize one day workshop on “Career Counseling and Personal Grooming “, on 23rd December Wednesday. Ms. Asma Aziz, Ms. Nudrat Mufti, Ms Rafia Khalid and Ms. Farwa Rashid Minhas will be the resources persons of the workshop. The workshop will commence at 8:45am to 5:00 pm at auditorium of Female Campus which will be open for on-going BS and MA students to attend the workshop. 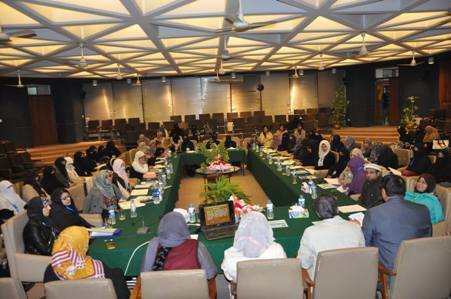 Critical Thinking Forum (CTF) International Islamic University Islamabad organized a two day interdisciplinary conference titled “Consciousness Raising of Pakistani Women: Negotiating Differences and Building Alliances”. 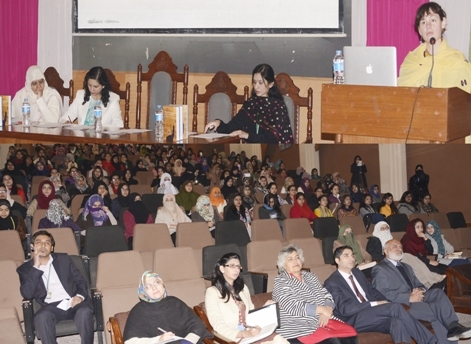 The conference was one of the mega events organized in Female Campus, IIUI in terms of women participation from different corners of life, institutions and varied disciplines including history, literature, gender studies, Islamic studies, Shariah and Law, Political Science and Medical Science from across the Pakistan. The inaugural ceremony was graced by Dr. Bashir Khan, Vice President, IIUI, Dr. Mumtaz Ahmad, Executive Director, Iqbal International Institute for Research and Dialogue, Dr. Munawar Iqbal Gondal, Dean Faculty of Language and Literature, Dr. Samina Malik, Director Female Campus and Dr. Najeeba Arif, Students’ Advisor (F.C), while Dr. Samina Amin Qadir, Vice Chancellor, Fatima Jinnah Women University was the keynote speaker on this occasion. This conference grabbed over 45 renowned women academicians and scholars and over 400 participants from across Pakistan. 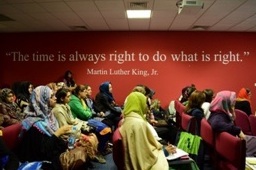 The conference was comprising overall six panel discussions with scholarly presentations on topics, diverse as Pedagogical Models and Women’s Education, Constitution and Legislation in Pakistan to Safeguard Women’s Rights, Right to Health: Problems and Solutions, Pakistani Women’s Consciousness Raising: Role of Media and Literature. Moreover, an arts exhibition titled “Pakistani Women in Focus”, book stalls and screening of two internationally acclaimed documentaries “Saving Face” by Sharmeen Obaid Chinoi and “Stories of Women’s Liberation” by Jennifer Hall Lee got special attention of the participants and guests alike. The closing ceremony of the conference was attended by a large number of students, faculty and guests which was attended by Dr. Professor Qasim Bhugio, Chairman Academy of Letters, as Chief Guest. Dr. Bhugio admired the steps and praised CTF for its efforts in bringing people of different disciplines together and also ensured his full support to CTF and Female Campus, IIUI, on behalf of Academy of Letters, for any joint venture in the future for the promotion of arts and Literature. Dr. Samina Malik, thanked Dr. Bhugio for gracing the occasion and sparing his precious time for CTF and assured her full support for the organization of such events in the female campus in future. Dr. Munazza Yaqoob, In-Charge CTF, shared recommendations of the conference saying that young women in academia should be engaged in such scholarly activities to get academic exposure of contemporary debates and also to develop a spirit of meaningful interaction, communication and peaceful mutual co-existence in them. Ms. Shagufta Omar, In-charge Da’wah Centre for Women, appreciated the efforts of CTF for organizing this meaningful conference. The ceremony concluded with the distribution of shields, souvenirs and certificates for the organizers of the conference. International Islamic University Islamabad arranged judges delegation from across the Pakistan led by Dr. Ahmed Yousif Al-Draiweesh, President IIUI visited Umm Al-Qura University Makkah, Saudi Arabia and called on its President Dr. Bakri Bin M’atoog Bin Bakri Al-Assas during the official visit to Kingdom of Saudi Arabia. On the occasion, Dean Faculty of Judiciary Studies, Dr. Al-Saud Al-Sharaim, Dr. Abdullah Al-Hurairi from Ministry of Justice and other high officials from Umm Al-Qura University were also present. A twenty seven member delegation comprises participants of training course of Shariah Academy IIUI including District & Session Judges, Session Judges, Additional Session Judges, Attorneys and Law Experts from across the Pakistan. In his interaction with delegation Dr. Bakri Bin M’atoog extended heartiest welcome to Dr. Al-Draiweesh and participant judges at university and briefed them about Umm Al-Qura University, its detail academic programs, contributions, salient features and services for Muslim Ummah. 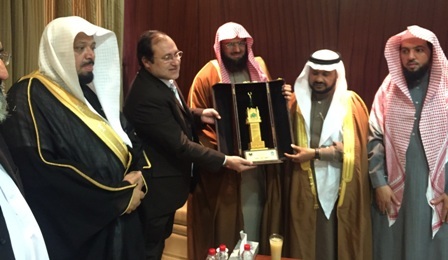 He also apprised to the delegation that university with more than 97 thousands student strength, 34 faculties departments and 5 thousands faculty members is a large public university in Mecca, Saudi Arabia. Dr. Al-Saud also briefed the participants about faculty of Judiciary studies and said faculty has a scope to present true interpretations of Islamic law, upon multiple issues and minimize the misconceptions of understandings regarding law and justice. 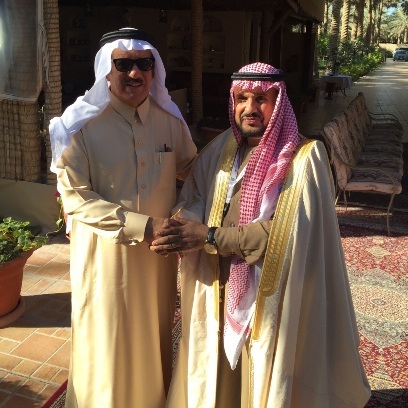 Dr. AL-Draiweesh thanked to Dr. Bakri Bin M’atoog on honouring precious time and warm hospitality for delegation. He said that IIUI and Umm Al-Qura University are good repute universities in the world, serving Muslim Ummah. He also proposed to launch students & teachers exchange programs between both the universities. President IIUI also admired the services of Dr. Bakri Bin M’atoog for Muslim Ummah and hoped that under the dynamic leadership university getting progress. Delegation also visited faculty of judiciary studies where they interacted with teachers, practicing lawyers and students. 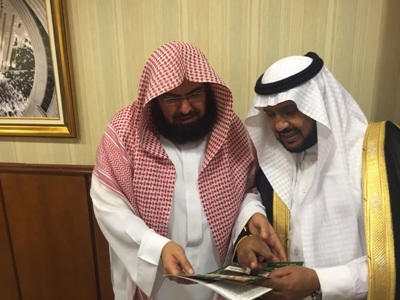 A twenty seven member delegation of Shariah Academy International Islamic University Islamabad led by Dr. Ahmed Yousif Al-Draiweesh, President IIUI called on Imam-e-AL-Harm Al-Makki Al-Shaik Dr. Abdul Rehman bin Abdul Aziz Al-Sudais, President Affairs of the Two Holy Mosques Saudi Arabia in the recent visit to KSA. The delegation comprised participants of training course of Shariah Academy including District & Session Judges, Session Judges, Additional Session Judges, Attorneys and Law Experts from across the Pakistan. 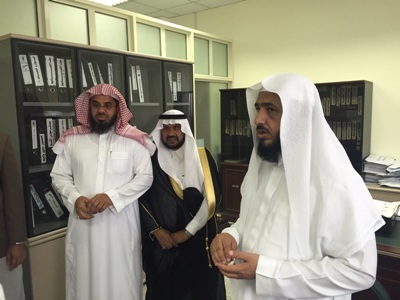 In his interaction with delegation participants Dr. Al-Sudais warmly welcomed the delegation in his office and admired the efforts, prominent services of Dr. Al-Draiweesh for the IIUI. He also appreciated the endeavors of Dr. Al-Draiweesh for strengthening Pak-Saudi relations. He hoped that under the supervision of Dr. Al-Draiweesh IIUI is making progress and serving Muslim Ummah. Dr. Abdul Rehman said Khadam ul Harmain Al-Shareefain and Crown Prince consider Pak-Saudi relations very important and both the countries value their cordial relations. Dr. Abdul Rehman said that Saudi Arabia has brotherly and very friendly relations with Pakistan that strengthen with people to people contact. Dr. Abdul Rehman also assured his maximum cooperation and support for IIUI to launch new academic programs. Dr. Al-Draiweesh thanked to Dr. Abdul Rehman for special hospitality and sparing such a precious time to honor the delegation. He also apprised him about the activities and different visits to Saudi institutions of delegation in Saudi Arabia. 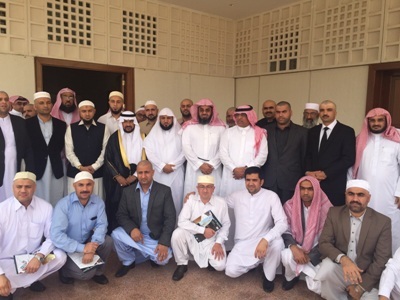 A twenty seven member delegation of Pakistani judges led by Dr. Ahmed Yousif Al-Draiweesh, President International Islamic University Islamabad visited Supreme Judicial Council in Riyadh, Saudi Arabia. The delegation consisting of 30 judges are the participants of training course of Shari’ah Academy IIUI on official visit to Kingdom of Saudi Arabia. 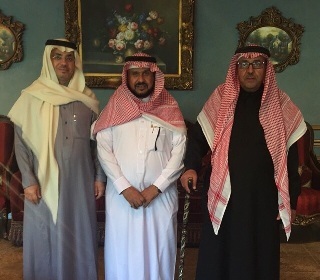 Dr. Al-Draiweesh and delegation was received by the judiciary, administrators and staff in the Supreme Judicial Council at the headquarters of the Supreme Judicial Council in Riyadh. 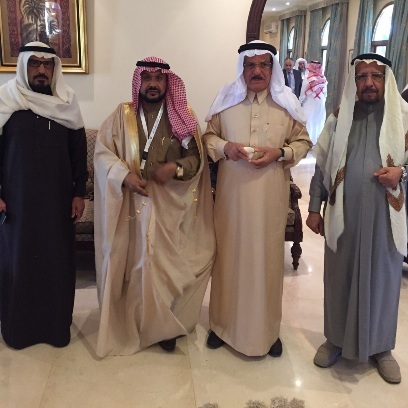 Members of the Supreme Council warmly welcomed and extended hospitality to Dr. Ahmed bin Yousef Draiweesh and the delegation of judges from Pakistan. They appreciated the efforts of Dr. Al-Draiweesh in strengthening the strong fraternal relations between Saudi Arabia and Islamic Republic of Pakistan. 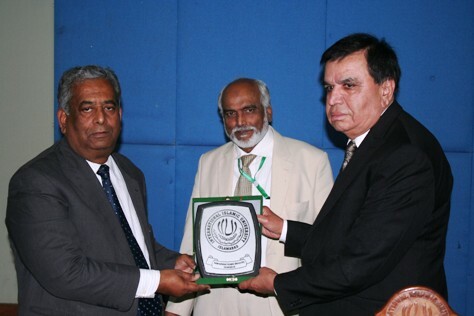 They also acknowledged great services of Dr. Al-Draiweesh for the up-lifting the standard of IIUI. The delegation was also given detailed briefing about the judiciary in the Kingdom, existing courts and the role of the Supreme Judicial Council. Dr. Al-Draiweesh extended his deepest thanks and appreciation to the Custodian of the Two Holy Mosques and King’s firm assertion to provide full support and cooperation. President IIUI also paid high tribute to the role of King Salman bin Abdul Aziz for strengthening fraternal and friendly relations between Saudi Arabia and Pakistan. He also thanked to members of the Supreme Judicial Council on making provision opportunity of this visit. He also praised the efforts of Saudi Arabia, led by the Custodian of the Two Holy Mosques King Salman bin Abdul Aziz Al-Saud for service and support of anything that make prosper, secure, peaceful and stable of Muslim Ummah. In connection with Sports Gala 2015-16 inter departmental sports competitions held at Female Campus International Islamic University Islamabad. Three events including cricket, table tennis and tug of war were organized in which number of teams from different faculty departments participated with full preparations. In the table tennis competitions Faculty of Management Sciences clinched 1st position, while Faculty of Usuludin stood on 2nd position and Faculty of Social Sciences got 3rd position. In Cricket competitions, Faculty of Social Sciences secured 1st position by defeating Faculty of Arabic which stood runner up. All the sports competitions are continue under the supervision of Ms Nadia Mukhtar Assistant Sports Officer IIUI. 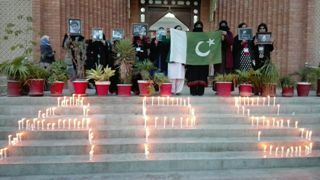 Female Campus International Islamic University Islamabad held a walk to pay tribute to martyrs of Army Public School Peshawar. 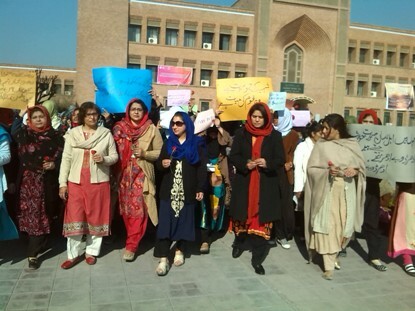 The walk Led by Dr. Najeebah Arif Students’ Advisor Female/Chairperson Department of Urdu which was joined by Chairpersons, Faculty members and students from different departments of university. Participants of the walk were carrying placard, posters and benders paying tribute and displaying solidarity with APS martyrs. On the occasion, Dr. Najeebah said APS carnage was painful incident of history of Pakistan which shook the whole country. She was of the view that such incidents can never be forgotten and stressed the need to pace-up all measures to combat menace of terrorism from the country. 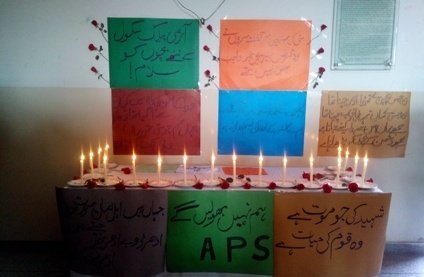 Participants also held Dua for the martyrs of APS that May their souls rest in peace (Ameen). Department of Psychology, Female Campus, International Islamic University Islamabad organized a Seminar on “Leadership, Power and Politics in Organizations” focused to boost students learning and to get a practical understanding of Organizational Psychology. 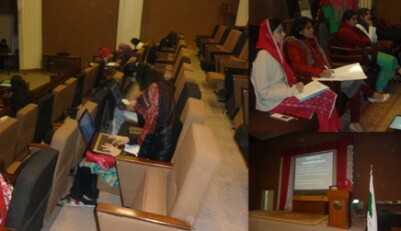 The seminar was chaired by Dr. Kehkashan Arouj, Acting Chairperson Department of Psychology (Female), While, Dr. Amna, Chairperson Department of Politics & International Relations (Female), Dr. Najeebah Arif, Students’ Advisor (Female) /Chairperson Department of Urdu were chief guests of the seminar. In their interaction with students both the chief guests appreciated the efforts of the students and department on organizing such a beneficial seminar. They also hoped that department would provide such opportunities to students to learn practical knowledge through these seminars in future. They also termed the seminar a valuable contribution in academic dialogue for the students. 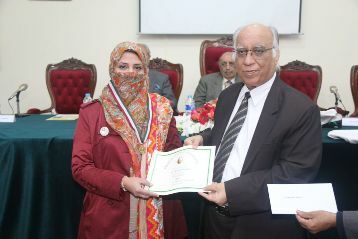 Dr. Nazia Iqbal, Asst. Prof, Department of Psychology was a focal person of the seminar which was attended by all faculty members of the department of Psychology and a large number of students. Department of Psychology Female Campus, International Islamic University Islamabad organized a Seminar on “Communication and Conflict Management in Organizations” in the Auditorium of Fatima -tul- Zahra Block, Female Campus, IIUI. The seminar was also included quiz competition among students relevant to the topic. The seminar was chaired by the Acting Chairperson Department of Psychology Dr. Kehkashan Arouj which was attended by all faculty members and students of the Department of Psychology. Dr Kehkashan Arouj and Mrs. Rabia Mushtaq addressed the audience and enriched students with comprehensive talk and made them aware about the core issues of conflict management lingered with organizations. They highly appreciated the students and acknowledged the keen efforts and interest of the students in this particular area of study. Dr. Nazia Iqbal, Asst. Prof Department of Psychology was focal person for the seminar. At the end quiz session was held in which students were given prizes; they also very actively participated in different activities including in the tug of war and some other team events and won prizes. 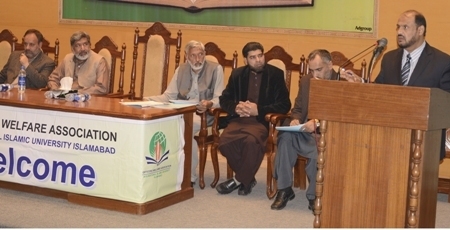 The Department of English, Female Campus, International Islamic University, Islamabad (IIUI) organized a lecture by Dr. Madeline Clements, a Senior Lecturer at Teesside University, England, in which she discussed that how post-9/11 Pakistani Fiction in English may be read as an attempt to revise modern knowledge of the Islamic world. With a PhD on Orienting Muslims: Mapping Global Spheres of Affiliation and Affinity in Contemporary South Asian Fiction, Dr. Clements is theorist in contemporary Culture Talk in the post-9/11 scenario. Her public lecture, entitled, “Writing Islam: Negotiating Tensions Shaping a Study of South-Asian Muslim Novelists after 9/11” was focused on the reconfiguration of Muslim identities in post-9/11 Pakistani Fiction in English by Kamila Shamsie, Mohsin Hamid and Nadeem Aslam. With a critical eye on the markedly reductive Othering strategies engaged by numerous global discourses regarding the identification in the wake of 9/11, Dr. Clements’ viewed them as biased as numerous Muslims suffer as they are called upon to explain themselves in the Western public sphere. With this being the contextual framework of her research, Dr. Clements talked about how post-9/11 Pakistani Fiction in English may be read as an attempt to revise modern knowledge of the Islamic world and how this genre of literature may be utilized to reconfigure the potential of Muslims to connect with others. She argued that a number of these writings continue to indulge “exotic” appetites, or reinforce Eurocentric ways of seeing and that even highly resistant texts remain susceptible to appropriation by dominant political and cultural forces. While her talk focused on the nuanced perspective on contemporary Islam as she once again questioned the unsettling binaries between the East and The West, the subsequent question and answer session led the talk to focus on the role of Pakistani Fiction in English in the context of the contemporary socio-political scenario and, in some cases, its problematic co-opting by the Western market. Faculty members from the National university of Modern Languages and Foundation University, Rawalpindi attended this lecture and raised pertinent questions. More than 300 female students from the Department attended this lecture. In her vote of Thanks, Dr. Nighat Shakoor, Assistant Professor in the Department of English, acknowledged Dr, Munawwar Iqbal (Dean, Faculty of Languages and Literature) and his office, the guests, the students as well as the organisers, Dr. Aroosa Kanwal and Ms. Asma Mansoor for their efforts in making this event happen. Meanwhile, after refreshments, Dr. Clements gave a lecture to a closed group of MPhil and PhD students on the same topic. At the end, Dr. Aroosa Kanwal and Dr. Nighat Shakoor presented the guest speaker with a souvenir as a token of respect and gratitude on behalf of the Islamic University. US-Pakistan have agreed to expand mutual educational relations, it was also agreed in Nawaz Obama meeting to strengthen educational bilateral tie-up which US Embassy Islamabad pursuing. This was said by Mr. David Hale US envoy to Pakistan on the occasion of inauguration of renovated Lincoln Corner at International Islamic University Islamabad. He joined the ceremony as chief guest while Dr. Masoom Yasinzai, Rector IIUI, Dr. Bashir Khan Acting President IIU also graced the occasion as guests of honour. 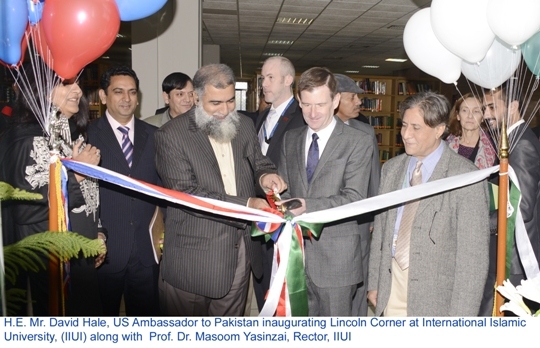 “Lincoln Corner demonstrates the continued partnership between Pakistan and The United States and our shared commitment to fostering open dialogue through educational opportunities” Ambassador said. 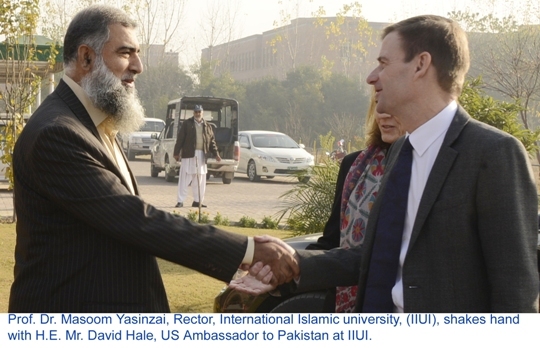 David Hale also showed delight to attend the ceremony at IIUI and appreciated the efforts of concerned to make the collaboration successful. “This is great opportunity for learning and collaboration between the students of IIUI and students of American Universities; we look forward to seeing the fruits of this continuing collaboration” Rector Said. Dr. Masoom also made David Hale aware about inception, progress and current status of IIUI. He said university has earned worldwide reputation as a leading institution of higher learning in the sub-continent. Dr. Masoom said university is providing peaceful milieu to its students and always condemned the attitudes of violence and extremism in every forum. Rector IIUI said that university has international linkages with many American and European universities and producing skilled manpower to serve the humanity at large. Dr. Masoom admired the support of US to the education and research in the country is evident in the field of energy, agriculture and others. Lincoln Corner renovated and expanded with double the space, equipped with modern technology and E-learning facilities. Lincoln Corner was firstly established in 2006 and is one of 17 Lincoln Corners established in universities of Pakistan. An event of more than 40 curricular activities and sports competitions SPECTRA 15 concluded here at international Islamic University, Islamabad (IIUI) on Wednesday where its concluding ceremony was dedicated to the martyrs of Peshawar carnage. 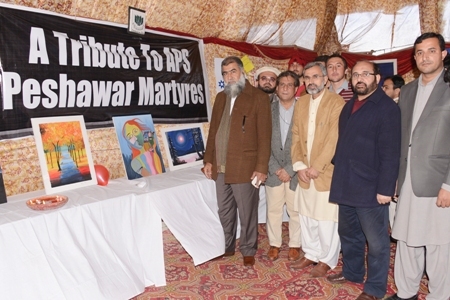 Students and the IIUI leadership paid homage to the martyrs of Peshawar, while documentaries, stage plays were organized in the concluding ceremony to pay tributes to the students and teachers of Peshawar. A documentary tilted “black day” and a stage play with same title by the media and communication studies students left people saddened on the unfortunate carnage, while prayers were also made for the eternal peace of the souls of carnage. Addressing the concluding ceremony as chief guest, Rector IIUI Dr. Masoom Yasinzai said that there is no place for terrorism in Islam. “Today we gathered to condemn the inhuman act which occurred on the same day last year” he added. He furthered that Islam is religion of peace and IIUI is focused on disseminating the true message of Islam. He stressed that students must decorate personalities with an amalgamation of world and religion and IIUI strives to provide an ideal milieu of learning where students can acquire quality education integrated with teachings of Islam. The Rector also encouraged the students who won positions in the different categories of the mega event and termed them as an omen of bright future of Muslim Ummah. Dr. Muhammad Bashir Khan, the Acting President of the university said that the martyrs of Peshawar are still alive in our hearts and memories, and nation is proud of their sacrifice. He was of the view that violent attitudes can be dealt with the implantation of Islam’s message of tranquility adding that universities could play pivotal role in this regard. Dr. Bashir also lauded the participation of a large number of students in the SPECTRA activities. Dr. Hafiz Abid Masood, the Chief Organizer and the Students Advisor dedicated the SPECTRA event to the martyrs of Peshawar in his speech. He said that nation is united against the terrorism while saying that the SPECTRA ceremony is omen of that unity. Winner students of various competitions of the SPECTRA event were awarded certificates and prizes by the Rector and the Acting President. The ceremony was also attended by the Additional Students advisor Dr. Abdul Qadir Haroon, Deans of the university and Heads of departments. Dr. Masoom Yasinzai, Rector International Islamic University Islamabad has paid tribute to martyrs of Army Public School (APS) Peshawar. He said sacrifice of 144 children never be forgotten which will bring new dawn of prosperity in the country. This he said on the occasion of inauguration of calligraphy exhibition to pay tribute to martyrs of APS in connection with on activities of SPECTRA 2015. He accompanied with Dr. Muhammad Bashir Khan, Acting President IIUI, Dr. Muhammad Tahir Khalily, Director QEC, Dr. Abdul Qadir Haroon, Deputy Students Advisor Male, faculty members and large number of students. He said carnage of APS was disastrous loss of nation which shook the whole country and sacrifices of innocent children would bring new wave of light, hope with power of education and knowledge. Critical Thinking Forum ( CTF) of International Islamic University, Islamabad (IIUI) marked the human rights day by organizing a roundtable on “Human Rights’ Awareness in Pakistan: Role of Academia and Civil Society” at Lincoln Corner of the Central Library of varsity. The event was organized as part of a Two-year approved project entitled “Consciousness Raising of Pakistani Women on Contemporary Academic and Social Issues” and to celebrate the International Human Rights Day which is commemorated annually on 10th December. 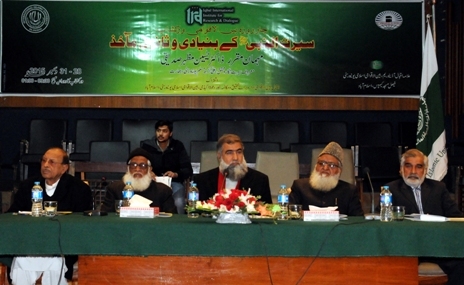 Director General of Islamic Research Institute, Dr. Zia-ul-Haq.was the guest of honor for the event who emphasized the role of academia and highlighted that inculcation of critical thinking in humans can ensure betterment of the society and he also critically evaluated Pakistani society and said that the detachment of academia from society is responsible forth un-fulfillment of human rights. 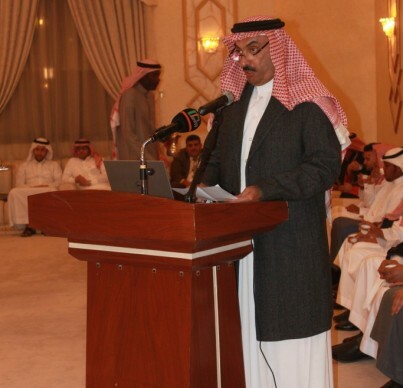 He appreciated Dr. Munazza’s efforts in formulating a group of young critical thinkers. He said that young Pakistani generation is more aware of their rights as well as their responsibilities and platform like Critical Thinking Forum can be a positive step towards a better future for Pakistan. The event was attended by attended by the Project Director, Dr. Munazza Yaqoob, members of Critical Thinking Forum as well as the students from different departments. The guest speakers of the day included: Ms. Khushboo Ali (Former Iqbal Fellow at Iqbal Institute for Research and Dialogue and Human rights activist), Dr. Nasim Razi (Assistant Professor, department of Sharia and Law, International Islamic University, Islamabad), and Mr. LiaqatBanori (Advocate High Court and Chairman SHARP, Pakistan). Ms. Khushboo Ali gave a detailed introduction of the Universal Declaration of Human Rights (UDHR) and commented on different aspects of the article as well as sub-articles. Dr. Nasim Razi discussed the development of international human rights in general and its Islamic perspective in particular. She also discussed the plight of human rights in Pakistan with the help of statistical data. Dr. Liaqat Banori emphasized the importance of human rights in a given society. He remarked that the human rights start with the recognition of human beings as human. He added that acknowledging others’ existence as humans is the beginning of acceptance of their rights but every right comes with a corresponding responsibility which is equally important to be fulfilled. Female Campus International Islamic University, Islamabad organized an interactive discussion among the female faculty members of the varsity which followed by a walk to mark International Anti-Corruption Day under the theme “Break the Corruption Chain”. The day was programmed under the supervision of Dr. Samina Malik, Director, Female Campus that was attended large number of faculty members. In the opening of discussion Ms. Fouzia Saeed, Lecturer-Usuludin-Dawah referred the verses of Holy Quran highlighting misuse of resources and corruption in daily activities. Ms. Fouzia Ajmal, Assistant Director was moderator of the discussion on academic corruption and its various forms. Faculty members from different departments actively participated in this thought provoking discussion and shared their views and experiences. They highlighted diversified malpractices in academic institutions like fake classes/ attendance system and delay in class commencement time. The forum stressed the need to sensitize teachers’ dynamic responsibilities by inculcating moral, ethical, social and professional values in their attitudes as they are supposed to play key role in nurturing young ones for nation building. At the end of discussion forum, Dr. Samina Malik led a walk to mark anti-corruption campaign. The participants of the walk were carrying banners and placards highlighting the theme “Together We Can Stop Corruption”. In her concluding remarks, Dr. Samina Malik thanked all faculty members for their participation in this campaign. As a delegation of judges from all over Pakistan supervised by Shariah Academy of International Islamic University, Islamabad (IIUI) reaches Kingdom of Saudi Arabia; it witnesses a remarkable reception in the kingdom. The delegation’s visit has been launched with the efforts of President IIUI Dr. Ahmed Yousif Al-Draiweesh who is keenly working for further enhancing bilateral ties between both the brotherly countries Pakistan and Saudi Arabia through linkage between IIUI and Saudi institutions. The delegation is being head by the Vice President Higher Studies and Research Dr. Muhammad Munir and it comprised participants of training course including District & Session Judges, Session Judges, Additional Session Judges, Attorneys and Law Experts across the Pakistan. The delegation visited Al-Imam Muhammad Ibn Saud Islamic University where it was received by the university high officials. The delegates were presented with university crests in a special ceremony. The delegates thanked the host university administration and President IIUI for joint efforts to arrange the visit of the delegation. They termed the visit as a vital step to enhance their professional exposure. Meanwhile, an academic session was also held in Riyadh where Dr. Al-Draiweesh delivered a lecture on “Philanthropy and its impact on nation building and strengthening youth”. He highlighted the importance of volunteer work and significance of Philanthropy in Islam which he elaborated with the help of events from the Islamic history. The participants of the session agreed that philanthropy is vital as per contemporary requirements. They stressed that conferences, seminars and workshops be organized for awareness among the youth. 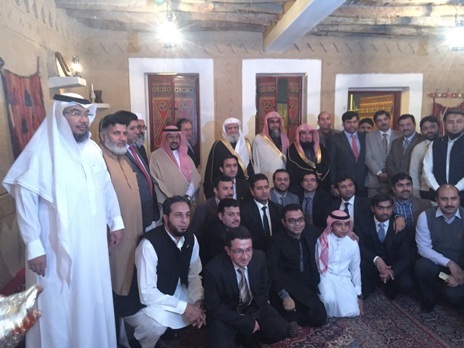 Dr. Waleed Al-Samani, Minister for Justice Saudi Arabia arranged dinner in honour of twenty seven member delegation of Shariah Academy International Islamic University Islamabad led by Dr. Ahmed Yousif Al-Draiweesh, President IIUI. The delegation comprised participants of training course of Shariah Academy including District & Session Judges, Session Judges, Additional Session Judges, Attorneys and Law Experts from across the Pakistan. The dinner was also attended by Dr. Abdul Aziz, Head Court of Appeal Saudi Arabia, Head Criminal Court Saudi Arabia, Mr. Ali Turkey Advisor to Minister of Justice and other high officials. While addressing the delegation Saudi Minister warmly welcomed IIUI delegation. He also appreciated the efforts of Dr. Al-Draiweesh for cementing Pak-Saudi relations. Dr. Waleed said under the supervision of Dr. Al-Draiweesh IIUI is making progress and serving Muslim Ummah. He also assured his maximum cooperation and support for IIUI to initiate new academic ventures. 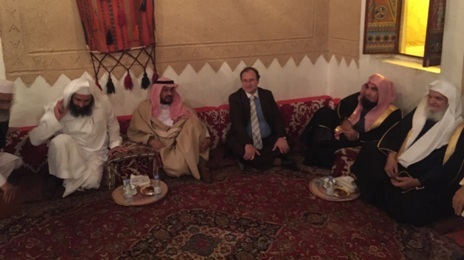 On behalf of IIUI, Dr. Al-Draiweesh thanked Saudi Minister for arranging dinner and warm reception. A team of Department of Mechanical Engineering of the university has clinched first position in Final Year Student Project Competition organized by the Engineering Faculty of University of Gujrat at its Hafiz Hayat Campus, Gujrat. Teams from various universities of Pakistan participated in the event and presented their Final Year Projects. After a tough competition with other renowned universities such as UET Lahore, the project prepared by IIUI team secured 1st position in the competition on which a shield along with certificates, was awarded to Engr. Muhammad Ishfaq Khan(Supervisor of the project) and team. This project was done in collaboration with Sports Department of IIUI. A great number of attendants at the competition showed keen interest in the said project and practiced at moderate speed levels of the bowling machine. After a tough competition with other renowned universities like UET Lahore, the project secured 1st position in the competition and a shield along with certificates, was awarded to Engr. Muhammad Ishfaq Khan (Supervisor of the project) and team. The chairman DME and other Faculty Members have felicitated the team on the success and stressed to further improve the endeavor to finalize the project as a product. Department of Mechanical Engineering (FET), IIU arranged a talk on “Green Buildings” here at male campus of the university in which experts emphasized on the implementation of “Green Buildings” concept in Pakistan. The talk was chaired by Prof. Dr. Bashir Khan VP (Acad)/ Acting President IIUI, while it was joined by Dr. Aqdas Naveed Malik (Dean FET) and Dr. Saeed Badshah (Chairman DME) including all faculty members and students of DME. Prof. Dr. Bashir Khan thanked all the distinguished guests for sparing time and sharing their views with IIU officials and students. He presented shields to Mr. Mitchel Swann, Mr. Arif Baig and Mr Ather Siddiqui and emphasized the students to become members of ASHRAE and take full advantage of this platform. Mr. Mitchel Swann, Lecturer ASHRAE from USA, who owns a 20 years of experience in the area of management, Engineering and construction for a wide array of clients in diverse industries in USA and Abroad. Mr. M. Riaz Baig, President Elect. ASHRAE Northern Pakistan Chapter and Mr. Athar N.Siddiqui , Chairman PHVACR Society, Student Activities Chair, NPC also shared their views. Mr. Mitchel Swann said that Green building refers to both a structure and the using of processes that are environmentally responsible and resource-efficient throughout a building’s life-cycle: from sitting to design, construction, operation, maintenance, renovation, and demolition. He added that Green buildings are designed for not only efficiently use of energy, water, and other resources but also protecting occupant health and reducing pollution. International Institute of Islamic Economics (IIIE) of International Islamic University, Islamabad (IIUI) on financial literacy campaign on investment education and awareness. The seminar was organized by the institute in collaboration with the Securities and Exchange Commission of Pakistan (SECP). Speaking to the event, Acting President of the varsity, Professor Dr Mohammad Bashir Khan urged students to blend their academic knowledge with the real market practices. He also stressed on the need for research work in the area of Capital markets and Non-Banking Financial Sector. He appreciated SECP and IIIE for starting these sessions and spreading market based knowledge through real life experiences. During the awareness seminar, the students were briefed about the role of SECP as the apex regulator of Capital markets and Non-Banking Finance sector. The Department of physics organized a seminar on Density Function Theory (DFT) here at male campus of the university. Dr. Altaf Karim Ph.D Physics from Kansas State University, USA was the spokesperson who delivered a presentation on “MULTISCAL MODELING OF MATERIALS”. Chairman Department of Physics, Dr. Waqar Adil Syed thanked the speaker for useful presentation, congratulated the organizer Muhammad Ahsan and Muhammad Rizwan Ahmad and hope that the students will continue their efforts in such kinds of activities. Chairman stressed that this type of research activities are the key factors for academic progress in the Islamic University. Chairman also expressed his view that scientific education can bring meaningful change in the society and skilled youth are the precious asset of the university and country. Students Adviser office of the university, amid SPECTRA 15 activities organized a walk on anti-corruption which was led by Acting President IIUI, Prof. Dr. Mohammad Bashir Khan, Additional Students Advisor Dr. Abdul Qadir Haroon, Deputy Director sports Mr. Syed Manzoor Hussain Shah. A number of students participated in the walk and vowed to work against corruption terming a menace for society. Prof. Dr. Bashir Khan said on the occasion that there are many forms of corruption including financial and moral corruption. He urged the participants to work for the cause of country and stand against corruption. He also encouraged the students to participate in such healthy activities. In connection with the SPECTRA 15	activities at IIUI, a workshop on Arduino interfacing was conducted in CAED laboratory at Department of Electronic Engineering, Faculty of Engineering & Technology of the university. The workshop was part of SPECTRA 15 and organized under the supervision of Engr. Baber Khan Jadoon and Engr. Naveed Ishtiaq Chaudhary. It was aimed to equip the engineering students with the skills of operating latest devices required to complete their final year projects. Students from other universities of twin cities also participated in the workshop. Enthralling SPECTRA15 continues at International Islamic University (IIU) amid number of activities of mega event including marathon race, mini cricket tournament, media hunt. The event is being organized by the Student’s adviser office to provide platform to students for showcasing their talent and polish their skills in more than 40 constructive and creative events. The marathon race started from the hostel parking and it concluded at activity center (male). Top positions holders were awarded cash prizes by Students Adviser Dr. Hafiz Abid Masood, Additional Students Advisor Dr. Abdul Qadir Haroon, Deputy Director Sports Mr. Manzoor Hussain Shah and Assistant professor Mr. RoohUl Amin. In addition, media hunt was supervised by the department of media and mass communication. The event witnessed lively performances of the students in number of activities such as Live anchoring, live reporting, poster designing and add making. The event was inaugurated by Chairman Department of Media Prof. Dr. Zafar Iqbal along with Additional Students Advisor Dr. Abdul Qadir Haroon, Dean Faculty of social sciences Prof. Dr. Nabi Bux Jummani, Assistant professor Mr. syed inam ur rehman and Assistant professor Mr. RoohUl Amin. 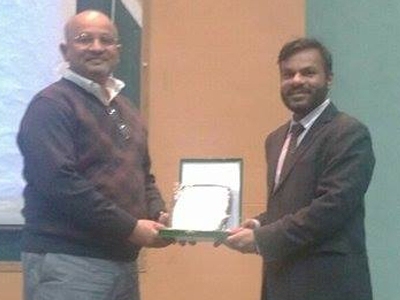 Prof. Dr. Zafar Iqbal appreciated and encouraged active participation of students in SPECTRA Activities. 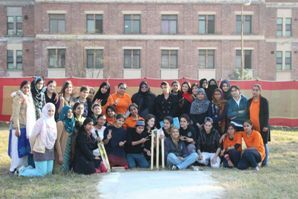 Mini cricket tournament was the event which was the focus of interest for a large number of students. 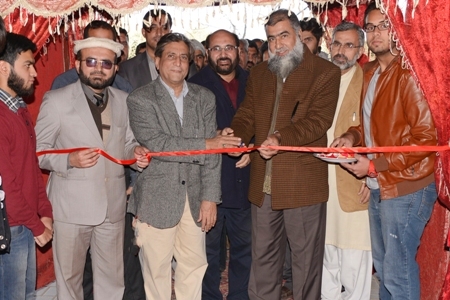 It was inaugurated by chairmen Electronics department FET and Additional Students Advisor Dr. Abdul Qadir Haroon. More than 140 teams from all faculties are participating in this tournament. Meanwhile, Students Adviser office also organized an anti corruption walk which was led by the Acting President IIUI, Prof. Dr. Bashir Khan, Additional Students Advisor Dr. Abdul Qadir Haroon, and Deputy director sports Mr. Syed Manzoor Hussain Shah. A number of students participated in the walk and vowed to work against corruption terming a menace for society. Prof. Dr. Bashir Khan said on the occasion that there are many forms of corruption including financial and moral corruption. He urged the participants to work for the cause of country and stand against corruption. He also encouraged the students to participate in such healthy activities. 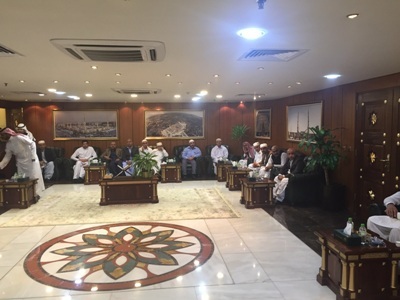 A twenty seven member delegation of Shariah Academy International Islamic University Islamabad proceeded to Riyadh, Kingdom of Saudi Arabia where the delegation was received as state guests. The delegation led by Dr. Muhammad Munir, Director Shariah Academy IIUI comprised participants of training course including District & Session Judges, Session Judges, Additional Session Judges, Attorneys and Law Experts from across the Pakistan. The delegation will visit Saudi institutes of law and justice including family courts, legal offices and other relevant departments. The visit of participants is part of study tour to learn and grab the legal procedures of Saudi Arabia. They will also meet high Saudi officials and their counterparts. Participants of delegation will call on high profiles of Saudi Arabia and discuss the issues and legal systems being practiced in respective countries. One week-long visit of delegation is reflection of personal efforts of Dr. Ahmed Yousif Al-Draiweesh, President IIUI to make the training course more beneficial. This will also strengthen Saudi-Pak relations particularly in educational institutions. At the end of visit delegation members will also perform Umrah. 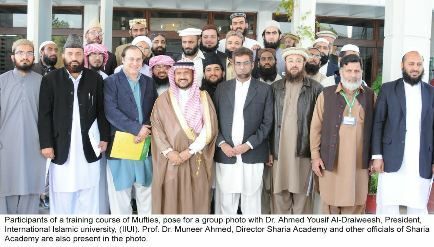 International Islamic University, Islamabad (IIUI) and Abdul Aziz bin Muhammad bin Fahd bin Jalvi Al e Saud Foundation for Quran Sunnah and Oratory have agreed to launch collaborative programs of training for Prayer Leaders and Religious Scholars through departments of Tafseer and Quranic sciences of both sides. This was agreed in a special meeting between the IIUI President Dr. Ahmed Yousif Al-Draiweesh and His Royal Highness Abdul Aziz bin Muhammad bin Fahd bin Jalvi Al e Saud, Chairman Board of Trustees Organization of Abdul Aziz bin Muhammad bin Fahd bin Jalvi Al e Saud. 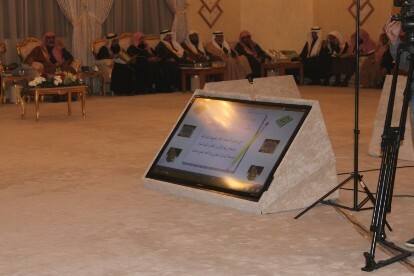 The meeting was held on the occasion of a banquet arranged by His Royal Highness in honour of the participants of International Conference titled “The Impact of the Application of Islamic Law in Achieving Security” which was organized by Imam Muhammad bin Saud Islamic University College of Shariah and Islamic Studies in Ahsa. 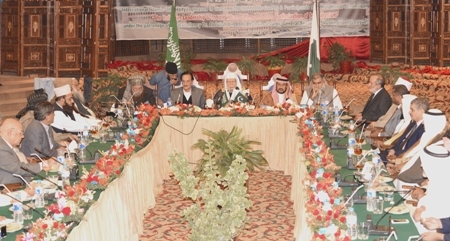 The banquet was also attended by IIUI Pro Chancellor Dr Sulaiman Ibn Abdullah Aba Al-Khail, Abdur Rehman Al-Sanad, Head Committee for Calling Towards Virtue and Abstaining from Vice, Dr Fauzan Al-Fauzan, Acting Head, Imam Muhammad Ibn Saud Islamic University and other renowned figures and participants of the conference. While welcoming the IIUI President, His Royal Highness lauded the role of IIUI and stressed the need for promotion of Quran and Sunnah. The both sides agreed to initiate joint projects for exchange of experiences. Dr. Al-Draiweesh apprised His Royal Highness regarding IIUI’s services, research activities and future plans. He also briefed about the varsity’s efforts about promotion of peace. The IIUI President’s meeting was part of his efforts to introduce university worldwide and apprise renowned figures about the objectives and vision of IIUI. President, International Islamic University, Islamabad (IIUI) Prof. Dr. Ahmed Yousif Al-Draiweesh met with Abdul Aziz Bin Muhammad Al-Mousa, a renowned philanthropist and business man of the Kingdom of Saudi Arabia (KSA)on the sidelines of an International Conference titled “The Impact of the Application of Islamic Law in Achieving Security” which was organized by Imam Muhammad bin Saud Islamic University College of Shariah and Islamic Studies at Ahsa. Dr. Al-Draiweesh’s meeting with Abdul Aziz Bin Muhammad was part of his efforts to introduce university worldwide and apprise the renowned figures about the objectives and vision of IIUI. 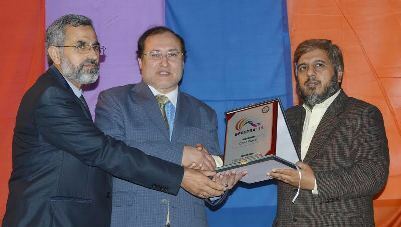 It was agreed in the meeting that an Award of Excellence would be established at IIUI which would be given to the best teacher and the best student of the university from both the male and female campuses of the university, and Abdul Aziz Bin Muhammad would himself award the bright minds of varsity as a gesture of encouragement. 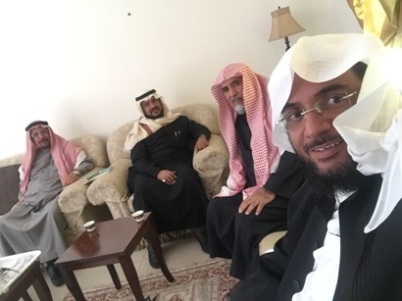 Dr. Al-Draiweesh briefed Abdul Aziz Bin Muhammad about the role of university especially in promotion of peace and Islam’s message of moderation and tranquility. He also told about the activities at IIUI and future projects of university such as plan of more faculties, buildings and libraries. 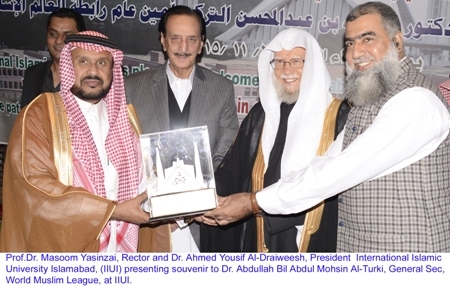 Abdul Aziz Bin Muhammad, while lauding the services of the university, assured of maximum cooperation and said that universities such as IIUI are vital for the progress of Muslim Ummah as Muslim youth must have education in the light of Islamic teachings. 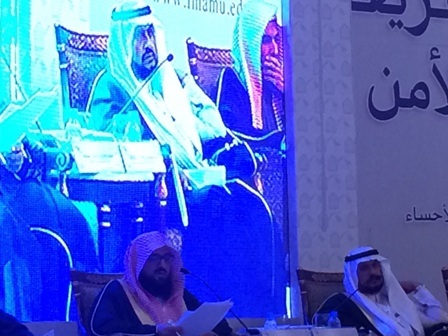 It is pertinent to mention that the IIUI President represented the university in the conference which was held under the patronage of His Royal Highness Prince Saud bin Nayef bin Abdul Aziz, Emir of the Eastern Region. 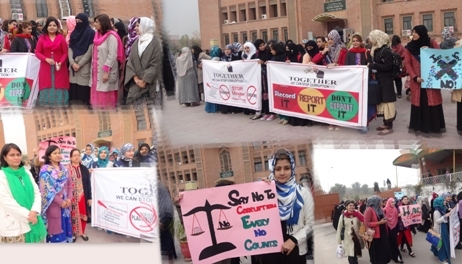 Department of Education Female Campus, International Islamic University Islamabad marked international anti corruption day and organized a walk to make awareness particularly to condemn corruption in education. A walk was joined by faculty members and students, who raised placards, posters and banners highlighting the theme “Break the Corruption Chain” and displaying solidarity against corruption in any form. Participants of the walk said that menace of corruption in all forms must be condemned in especially educational institutes. They said corruption is a complex social, political and economic phenomenon that affects all society. They also said that corruption is a serious crime that can undermine democratic institutions, slow economic development and contribute to governmental instability. On this occasion, participants raised voiced to stop corruption through proper evaluation and use of research funds, avoiding plagiarism to get high quality of research contribution and make the standard of education. More than thirty students from Cadet College, Mastung Baluchistan visited International Islamic University, Islamabad (IIUI) and met with Dr. Muhammad Masoom Yasinzai Rector IIUI. Abdul Wahid Nasir, Senior Teacher of Cadet College Mastung, was leading the delegation which is on All Pakistan Study Trip to broaden the vision and Approach of their Cadets. In his address, Dr. Masoom said that hard working students are key factor for the stable Baluchistan and country. He was of the view that only education can bring significant change in Baluchistan province. He said that youth is precious asset of Pakistan to bring revolutionary developmental change. Dr. Masoom said the doors of IIUI are open for the brilliant and hard working students of Baluchistan and university is mulling to allocate special quota to the students who hail from the law and order situation affected areas. Dr. Masoom also briefed students about the IIUI, its academic programs, research contributions and presence of foreign faculty members and students. Later, the delegation also visited central library and faculties of the university. Safi Ullah Khan Marwat, faculty member of Department of History & Pakistan Studies, Faculty of Social Sciences, IIU, Islamabad, has been awarded PhD in History after successful defense of thesis. Dr. Safi Ullah produced his thesis titled “Abdul Wali Khan: A Political Study (1942-1990)”. He is also faculty member at the Department of History & Pakistan Studies, IIU, Islamabad, who got the honour of being first PhD of his parent Department. Professor Dr. Razia Sultana, Vice Chancellor, Shaheed Benazir Bhutto Women University, Peshawar supervised his thesis. 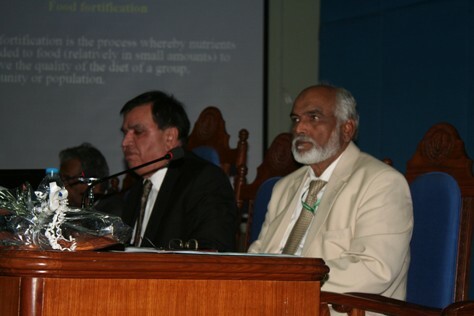 Professor Dr. Muhammad Iqbal Chawla, Department of History & Pakistan Studies, University of the Punjab, and Professor Dr. Syed Minhaj Ul Hasan, Department of History, University of Peshawar, were the external examiners, while Dr. Abdul Zahoor Khan of the Department of History & Pakistan Studies, IIU, Islamabad, was the internal examiner. The students of BSBT in the Department of Bioinformatics and Biotechnology (FC) conducted a seminar and an awareness walk on organ donation here at female campus of the university. 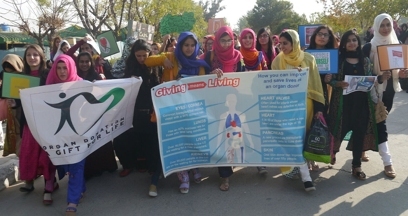 The purpose of the walk and the seminar was to make people aware the students about organ donation.The event was supervised by Dr Bushra Uzair Abbasi and Acting Chairperson Dr. Naveeda Riaz. Gulzar Ahmed Khwaja, Advisor to the President IIUI was the spokesperson of the seminar on Organ Donation. He shared his experiences about the kidney transplant surgery he had. Speaking on the occasion, Dr. Naveeda Riaz said that the purpose of seminar and walk was to employ and implement the practice that how can we exert and execute the use of miraculous and astounding stem cells and to use them as wonderworking cells in the treatment of diseases. The department of Bioinformatics and Biotechnology arranged a recreational trip to Kattas Raaj Temples and Kallar Kahar. The activity was organized by the Departmental Student Activity’s committee in collaboration with office of student Advisor (Female Campus). 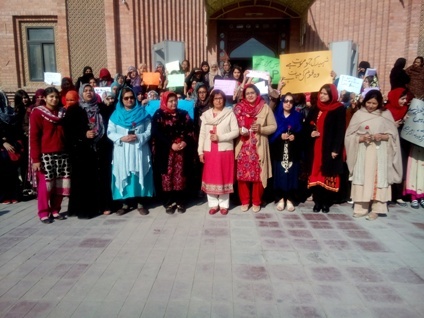 The chairperson Dr Naveeda Riaz and faculty members Dr. Bushra Uzair, Dr.Sobia Tabassum, Dr Rakhshinda Ms. Tahira Noor Ms Iffat and staff (Ms. Hareem Ahsan, Ms. Sobia Rafique and Saba Aslam) accompanied 230 students of the department. Students took keen interest in Kattas Raaj’s a history as the teachers apprised them about the quaint place. Students also visited Kallar kahar and enjoyed lunch, boating, and swing. President, International Islamic University, Islamabad Prof. Dr. Ahmed Bin Yousuf Al-Draiweesh attended the International Conference titled “The Impact of the Application of Islamic Law in Achieving Security” which was organized by Imam Muhammad bin Saud Islamic University College of Shariah and Islamic Studies at Ahsa under the patronage of His Royal Highness Prince Saud bin Nayef bin Abdul Aziz, Emir of the Eastern Region on 8-9 December 2015, corresponding to 26-27 Safar 1437 as a representative of the International Islamic University Islamabad. The attendance of the conference by Dr Ahmed Bin Yusuf Al-Draiweesh comes in the wake of a number of other activities in various parts the world that the university authorities have been actively participating in the recent past. Through such participations, the university is instrumental in building bridges between IIUI and universities in different parts of the globe and this eventually helps in realizing the goals, objectives and the mission of the university that was envisaged by the founding fathers. As a result, such activities bring benefits not only to the IIUI community but also to Pakistan. Representing the IIUI, the President briefed the audience of the conference regarding the role IIUI is playing in achieving peace, stability and security of Pakistan by disseminating the true message of Islam. He also praised the Pakistani government for showing keen interest in the application of Islamic laws derived from the Quran and Sunnah and the methodology based on moderation and rejection of extremism and terrorism. Professor Al-Draiweesh presented his research paper at the conference titled “Legitimate Pledge of Allegiance and its Role in the Prevention of Sedition and Stability of Society.” He was of the view that Islam being the religion of moderation and justice provides with the basis of a society free from all sorts of extremist thoughts. Dr. Draiweesh gave salient features of the legitimate pledge of allegiance in the light of Islamic teachings and its role over centuries in stabilizing Muslim societies. 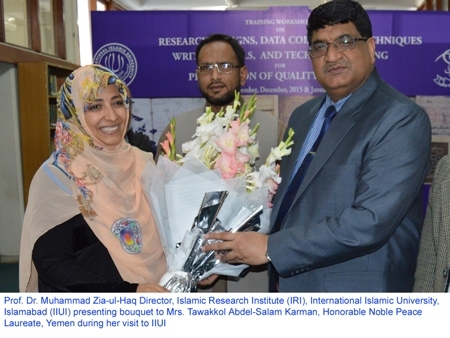 Second round of a five-day workshop on “Research designs” organized by Islamic Research Institute (IRI) of the International Islamic University, Islamabad (IIUI) commenced with more than fifty female research students. 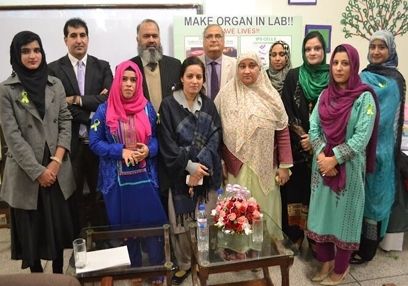 The Training Workshop aims to deal Research Designs, Data Collection Techniques, Writing Skills, and Technical Editing for Production of Quality Research was inaugurated as chief guest by Mrs. Razina Alam Khan, Ex. Senator/ Chairperson National Commission for Human Development. In her address, she appreciated the efforts of IRI for training the youth of Pakistan specially the female young scholars. She was of the view that women can play a significant role in the building of a nation. Mrs Razina Alam shared her educational and research experiences with the participants of the training. Acting President IIUI Prof. Dr. Muhammad Bashir Khan presided over the ceremony and appreciated the efforts of Director IRI, Dr. Muhammad Zia-ul-Haq and his vital role in promoting research culture in the university. Dr. Bashir furthermore, presented thought provoking ideas about the educational research. Dr. Muhammad Zia-ul-Haq welcomed the guests and said that the workshop is being organized as per the directions of Rector and President IIUI to increase research skills of our graduates to a large extent. He also briefed about the objectives and importance of workshop while mentioning that IRI has initiated a series of workshops to develop research skills and technical editing to make capable students in research skills. Participants of the workshop will be addressed by renowned scholars with their interactive presentations/lectures on the theme of the five days workshop. An Intra-University Super colossal event “SPECTRA-15” kicked off here at International Islamic University Islamabad (IIUI) on Monday. Students taking part in documentaries, debates, sports, essay writing, calligraphy, Qiraat, Naat and many other competitions. The event is being organized by the students’ advisor office of the university which commenced with an inaugural ceremony here at male campus. Dr. Muhammad Munir Vice President Higher Studies and Research was the chief guest who termed the SPECTRA as mega event while saying that such constructive activities are necessary for the grooming of students. He said that curricular and extracurricular activities are the sign of talented youth at any campus. He also felicitated the organizers on conducting successful event. “SPECTRA-15 is aimed at providing a platform to all competitive and confident students of IIUI for curricular and extracurricular activates and to prepare participants for Twin city and All Pakistan Competitions” said Dr. Hafiz Abid Masood, the Students Advisor (male). He added that the event would help students to polish their skills and showcase talent and potential. He reiterated his resolve that IIUI would keep providing opportunities to its talented youth. “I am participating in chess competition and table tennis and I am all set to win the competitions” said excited students Rohban. SPECTRA-15 would continue till December 16, while on Tuesday competitions of photography, table tennis, mini cricket and marathon race will be organized. Dr. Ahmed Yousif Al-Draiweesh, President, International Islamic University, Islamabad (IIUI) delivered Jumma sermon and lead Jumma Prayer at Faisal Masjid, Islamabad. Dr. Al-Draiweesh called for unity of Muslims and urged that education must be top priority to deal with the challenges of hour. He said that Islam is the religion of peace and moderation and Muslims must disseminate true message of Islam. He furthered that violent attitudes be discouraged in the societies and comprehensive framework must be devised for image building of Islam. Jumma prayer was attended by large number of people of the twin cities including various renowned figures and IIUI officials. 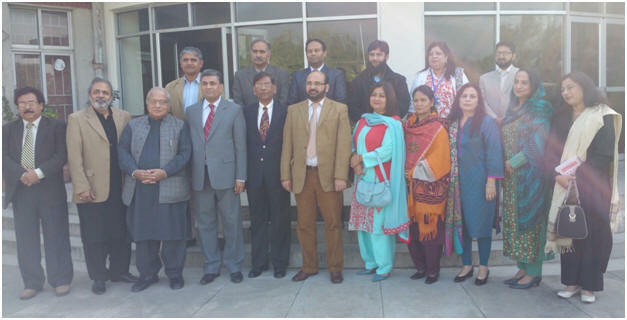 A seminar was organized by the Department of Bioinformatics and Biotechnology, Faculty of Basic & Applied Sciences International Islamic University Islamabad in which Prof. Dr. G. Sarwar Gilani, FAO ACI, Nutrition and Health Advisor Ottawa, Ontario Canada, Foreign Fellow of Pakistan Academy of Science, was the invited guest speaker. Professor Gilani is a recipient of “The Queen Elizabeth II Diamond Jubilee Medal” by the Government of Ontario and Fakhar-e-Pakistan from The Canada-Pakistan Association of National Capital Region. Dr. Sarwar Gilani delivered comprehensive and valuable input on Role of Nutritionally Enhanced Genetically Modified Foods in Alleviating Malnutrition in Developing Countries. He also threw light on different trends and aspects related to modification of foods in developing countries and current research contribution. The speaker deliberated upon the success stories of Biotechnology in the area of Genetically Modified (GM) foods like Flavor saver tomatoes, Golden rice, Improved protein in Potatoes and Cassava, Maize with high lysine, Fortified Wheat with ability to uptake iron and zinc thus increasing the nutritional values of daily used food. Earlier, Dr. Zafar Mahmood Khalid Chairman DBI&BT introduced and thanked the speaker for sparing his precious time for IIUI students. He also highlighted the need and purposes of arranging this seminar. 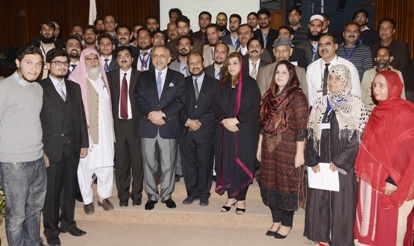 The seminar was largely attended by the Faculty members and students of both male and female campuses. A session of question answer was also held at the end. 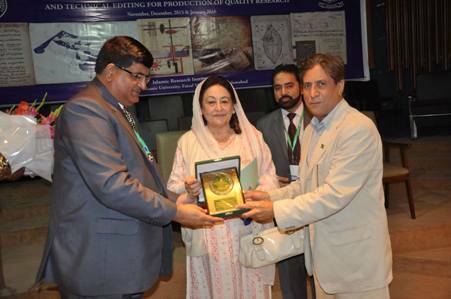 Professor Dr. Abdul Hameed Director ORIC IIUI, presented the memento of the university to the renowned speaker. 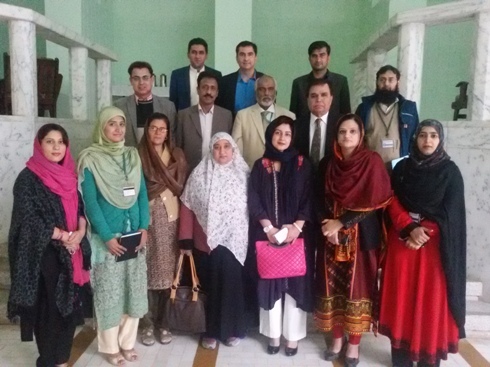 Directorate of Distance Education (DDE), International Islamic University Islamabad held meeting to discuss the use of Learning Management System (LMS) and to launch the campaign to start distance education in selected districts. It was stressed the need to make easy access and fluent use of LMS for students. Dr. Muhammad Munir Kayani, Additional Director of Distance Education/Acting Chairman Department of Education, Dr. Abdul Zahoor Khan, Acting Chairman Department of History & Pakistan Studies and other faulty members including Dr. Mujeeb Ahmad, Dr. Azhar Mehmood, Dr. Shiekh Tariq Mehmood, Dr. Muhammad Zafar Iqbal, Syed Akmal Hussain Shah and Safi Ullah Khan Marwat attended the meeting. Dr. Muhammad Munir Kayani and Dr. Abdul Zahoor Khan asked all faculty members who are teaching to distance learners to make it sure that all the material is available on the LMS and appreciated the commitments and hard work of the faculty members for distance education programme. A meeting of Pre-Board of the Department of Education Faculty of Social Sciences, IIUI, under the chairmanship of Prof. Dr. N. B. Jumani, Dean, Faculty of Social Sciences. Dr. Muhammad Munir Kayani, Acting Chairman Department of Education, Dr. Shamsa Aziz, Dr. Munazza Mehmood, Dr. Zarina Akhtar, Dr. Azhar Mehmood, Dr. Shiekh Tariq Mehmood Dr. Muhammad Zafar Iqbal and Ms. Fouzia Amir, provided their valuable input to improve the research proposals of MS and Ph.D scholars. Prof. Dr. N. B. Jumani advised scholars to incorporate proposed changes made during pre-board meeting well in time to facilitate students. Dr. Jumnai also advised the committee to put serious efforts to bring quality in MS and Ph.D research proposals. Moreover, Dean FSS appreciated the input provided by the faculty members to bring improvements in M.S & Ph.D research proposals. Dr. Ahmed Yousif Al-Draiweesh, President International Islamic University (IIUI) called on Ambassador of Qatar to Pakistan Saqr bin Mubarak Al-Mansouri. Issues of mutual interests were discussed in the meeting, while enhancement of bilateral cooperation was agreed on the occasion. The Ambassador assured on the occasion that cooperation with IIUI would continue. He lauded role of the university and said that it is playing vital role in nurturing young minds of Muslim Ummah. He also appreciated the organization of a seminar on role of Muslim leadership in combating terrorism and said that such constructive forums can produce viable solutions to contemporary challenges. Dr. Al-Draiweesh apprised the Ambassador regarding ongoing educational activities at the university and informed the envoy about the recommendation of the seminar on role of Muslim leadership in combating terrorism. Nobel Peace Laureate Tawakkol Abdel-Salam Karman said Thursday that terrorism can be beaten with love and women would have to play integral role in peace dissemination. The first Arab woman Nobel Peace Laureate expressed these views on the occasion of her visit to the International Islamic University, Islamabad(IIUI) here at Faisal Masjid. “Muslim women must be given due opportunities of leadership as they are integral part of the society” Tawakkol Abdel-Salam said. She added that Islam has nothing to do with terrorism, while it’s a religion of moderation and peace. She took keen interest in the architecture of the Faisal Mosque where she was briefed by the IIUI officials regarding Faisal Masjid and role of IIUI. She also lauded IIUI’s services for Muslim Ummah and stressed that universities such as IIUI can play vital role in the promotion of peace and brotherhood. She appreciated the facilities of learning integrated with teachings of Islam being given to the female students at IIUI. Meanwhile, she also called on the President IIUI Dr. Ahmed Yousif Al-Draiweesh, who welcomed her and presented a university souvenir, while saying that her visit was a matter of delight for IIUI. She also visited the Islamic Research Institute of IIUI where Director IRI Dr. Muhammad Zia ul Haq apprised her about the role of institute and termed her visit as an honor for the institute and university. Tawakkol Karman is a Yemeni journalist and human rights activist. She is a co-recipient of the 2011 Nobel Peace Prize, becoming the first Yemeni, the first Arab woman, and the second Muslim woman to win a Nobel Prize and the second youngest Nobel Peace Laureate to date. A general body meeting of Officers Welfare Association (OWA) of International Islamic University (IIU) was held here at new campus of the university. 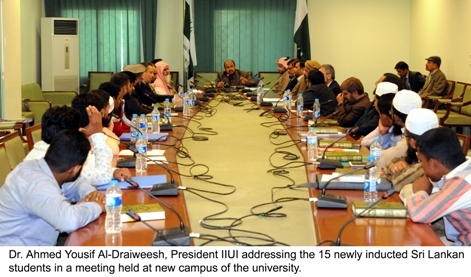 The meeting was presided over by the President IIUI Dr. Ahmed Yousif Al-Draiweesh. It was also attended by the Director General IIUI Khalid Mehmood Raja, OWA President Rana Asghar Ali Shahid and other office bearers and executive body member of the association. Speaking on the occasion, Dr. Al-Draiweesh said gathering is an omen of unity among the IIUI officials. He said that service of university and Muslim Ummah is top priority of IIUI and cooperation of the officers to fulfill this goal is laudable. Dr-Al-Draiweesh stressed that a committee of senior officers be established which would work for the welfare of the retired officers of the university. He assured that all legitimate suggestions and demands would be dealt on priority basis. The IIUI President also reiterated his resolve that soon IIUI would make its distinctive place among the ranks of leading universities of world. Dr. Al-Draiweesh stressed upon IIUI officials to stay united for the progress of university and promote mutual cooperation to pave the way for success of IIUI. He hoped that IIUI officials would keep disseminating Islam’s message of peace and moderation while he also vowed to provide an ideal and peaceful milieu for work to the university population. OWA President Rana Asghar Ali Shahid apprised about the ongoing developments and welfare measurements taken in this regard. He told that a number of 20 people were sent on Umrah from the OWA forum, while 33 promotions of officers happened whom he congratulated. He also put forth the suggestions such as increase of promotion quota and up gradation of employees. OWA General secretary Muhammd Shabir Mir and other officials also spoke on the occasion. 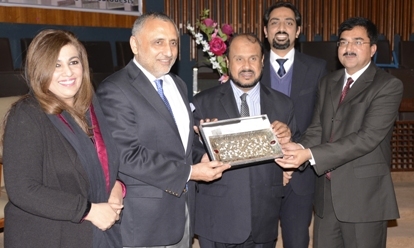 At the end, shields were presented to the promoted officers of the university by the DG IIUI. 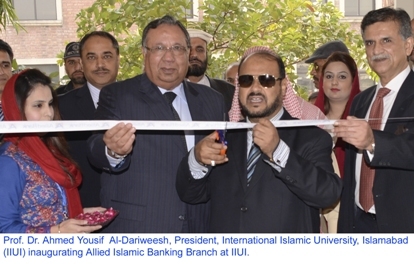 President International Islamic University, Islamabad (IIUI) Dr. Ahmed Yousif Al-Draiweesh Wednesday inaugurated the Islamic Banking Branch of Allied Bank at International Islamic University, Islamabad. On the occasion, Director Finance IIUI Khurshid Alam and other top officials of the university were also present, while the inaugural event was also attended by the Bank’s top notches including Tariq Mehmood CEO , C.O.O Tahir Qureshi and other officials of the Bank. Dr. Al-Draiweesh lauded the launch of the branch and also told that IIUI is focused on promotion of Islamic banking and finance and its International Institute of Islamic economics is contributing in significant manners in this regard. Meanwhile, C.E.O Dubai Islamic Bank (DIB)Junaid Ahmed along with his team called on Dr. Al-Draiweesh at his office on Wednesday. The meeting was also attended by Director Finance IIUI Khurshid AlaM, Distribution Head DIB Muhammad Aslam and Branch Manager DIB Faisal Ashraf. Matters of bilateral cooperation were discussed in the meeting, while possibility of joint projects of scholarships and human resource production through International Institute of Islamic Economics of IIUI also came under discussion. Director Finance IIUI was made the coordinator to work on an MoU in this regard and prepare a roadmap for the future cooperation. Dr. Al-Draiweesh assured cooperation on the occasion and apprised the guests regarding services of IIUI in Islamic economics. He also appreciated services of DIB. IIUI president stressed to initiate the projects which will help in producing efficient leadership of Muslim youth in the field of Islamic banking and finance. More than thirty Female students from IIUI School Khaibar Campus, Peshawar visited International Islamic University, Islamabad and met with Dr. Ahmed Yousif Al-Draiweesh President IIUI. On the occasion, Dr. Muhammad Muneer Director Shariah Academy, Ms. Saneeha Khalid, Training Management Specialist IPD and teachers were also present. While interaction with students, Dr. Al-Draiweesh advised them to work hard with dedication and devotion as nation’s bright future is associated with them. He also said to students that always obey your teachers and respect them as they are spiritual parents and guiders. Dr. Al-Draiweesh directed teachers to show full commitment in their profession as teachers are to play key role in the society. President IIUI awarded special cash prizes to all students how got distinctions in their exams. 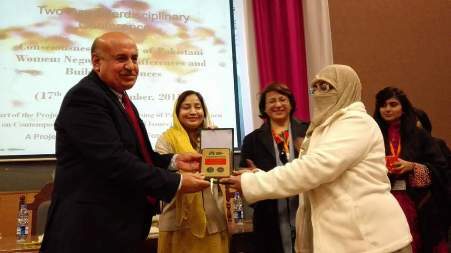 Dr. Shamaila Sajjad has been awarded Pakistan Academy of Sciences Gold Medal, certificate and cash prizes in Emerging technology on her research achievements in nanotechnology. Dr. Shamaila is serving as Chairperson Department of Physics, International Islamic University Islamabad. She has completed her PhD from China in the field of Nanotechnology in record time under HEC Overseas Scholarship Scheme. She has already been declared a dynamic woman researcher and most productive scientist of Pakistan and got excellent publication and doctoral student awards. There are many successful projects in the field of nonomaterials in her account and published many articles in well reputed and high impact international SCI journals with cumulative impact factor of 100 and total citations of more than 1000. Dr. Shamaila has published a valuable and scientific review article in Energy and Environmental Sciences with impact factor of 20.65 with more than 300 citations. Her most of publications are among top 25 articles of journals. Dr. Shamaila’s work will open up new avenues in nanodevices, hydrogen production and Catalysis. Faculty members and university hi-ups also congratulated her on this success and wished her best luck with hop her successful contribution may continue in future. A group of 15 newly inducted Sri Lankan students at International Islamic University; Islamabad (IIUI) met Dr. Ahmed Yousif Al-Draiweesh here at new campus. 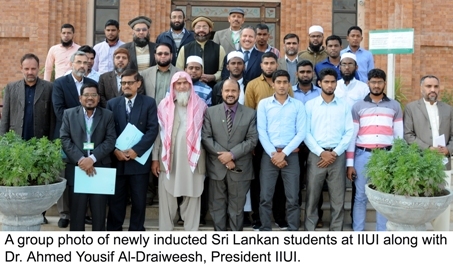 The new Sri Lankan students have been inducted under the scholarship program which has been initiated under an MoU between IIUI and Al-Rajhi Trust of Kingdom of Saudi Arabia (KSA). The students would commence their four years degrees at Faculty of Shariah and Law (FSL) and Faculty of Islamic Studies (FIS). The IIUI President, while welcoming the students stressed upon them to devote themselves for the gain of knowledge. He added that it is the need of hour that students must acquire advanced education integrated with teachings of Islam. “Muslim students have responsibility of Ummah’s future, they would have to disseminate Islam’s message of peace and moderation across the word” said Dr. Al-Draiweesh. He thanked Al-Rajhi Trust for continuous support of Muslim students, while he also appreciation the cooperation of Pakistan government and HEC for making the students arrival at IIUI possible. The IIUI President assured that the new students would be provided best environment of learning and also reiterated his resolve saying that the induction of Sri Lankan students at varsity is an omen the IIUI’s goal of internationalization. The meeting was also attended by the Dean Faculty FSL Dr. Muhammad Tahir Hakeem, Dean Faculty Arabic Dr. Hafiz Muhammad Bashir, Dean FIS Dr. Haroon ur Rasheed, Director General IIUI Khalid Mehmood Raja, Director President Office IIUI Mr. Abdullah Al-fifi, Advisors of the President IIUI and other concerned officials. The students thanked President IIUI and told that they are having a friendly and learning environment at IIUI. 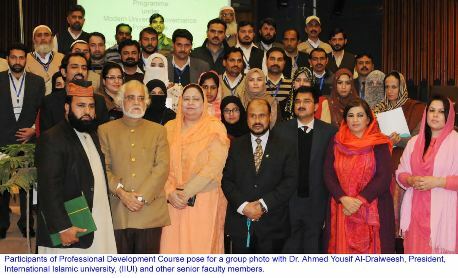 A two-month training program for non teaching staff of capital public sector universities organized by Institute of Professionals Development (IPD), International Islamic University Islamabad (IIUI) concluded here at Faisal Masjid campus. The program was held in collaboration with Higher Education Commission’s (HEC) which was attended by non-teaching staff of NUST, NUML, AIOU, QAU, COMSATS and IIUI. The closing ceremony of the program was presided over by President IIUI Dr. Ahmed Yousif Al-Draiweesh who stressed dedication and honesty to the work in his speech. He was of the view that staff of universities has responsibility to nurture young minds and they must be role models for the young students. President IIU, Prof Dr Ahmed Yousif Al-Draiweesh thanked Dr Shaheen Khan and HEC for their patronage in conducting training programme and expressed confidence that HEC would regularly organize such training programmes in future. Addressing the closing ceremony, Dr Shaheen Khan, Advisor HEC Learning Innovation Division stressed the need for to be regular on the job training to meet the needs of 21st century workplace. She also lauded IIUI for its role, while Dr Khan also praised the efforts of Institute of Professional Development (IPD) and termed it as a valuable part of International Islamic University. The participants lauded the efforts of trainers and IPD for making their learning informative. 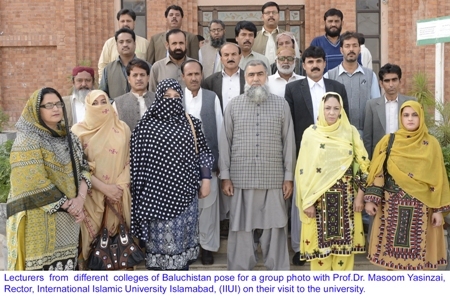 Thirty member delegation comprising lecturers and professors from different colleges of Baluchistan province visited International Islamic University, Islamabad and called on Dr. Muhammad Masoom Yasinzai Rector IIUI. Professor Javed Ahmed, President Lecturer & Processor Association Baluchistan was leading the delegation, extended gratitude and thanked Rector IIUI on warm reception at university. In his address, Dr. Masoom said that teachers are key factor for the stable Baluchistan and development in across the province. He was of the view that only education can bring significant change in Baluchistan as universities and colleges are being established in the province. He urged and stressed on teachers to develop skilled youth that is precious asset of province to make revolutionary change. Dr. Masoom said that educated and trained youth will contribute in near future and who is going to play key role in main stream of the nation. He showed strong hope that province will be as progressed and developed in coming years. Dr. Masoom also briefed them about the IIUI, its academic programs, research contributions and future plans of the university. He also made them aware about efforts that have been done to facilitate students from Baluchistan at IIUI. 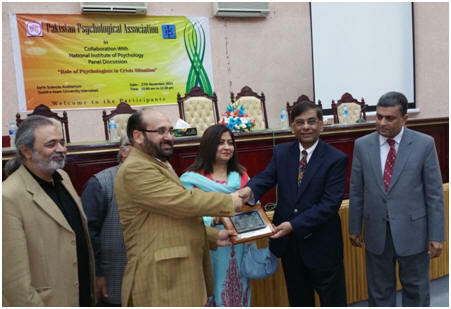 The efforts made by Department of Psychology International Islamic University, Islamabad to promote mental health were highly lauded at national conference on the “Role of psychologists in Crisis situation”. The conference was organized by Pakistan Psychological Association in collaboration with National Institute of Psychology Quaid-i- Azam University Islamabad. Dr. Javed Ashraf, Vice chancellor Quaid-i- Azam University Islamabad and Dr. Muhammad Jahanzeb Khan, Vice Chancellor University of Swat and Dr. Nadeem Ahmed Pirzada President Pakistan Psychological Association graced the occasion. Dr Muhammad Tahir Khalily Chairman Department of Psychology and Director QEC representing IIUI and gave detail presentation as a key note panelist. He mentioned in a panel discussion, the efforts, research contributions and awareness programs made by the IIUI in the promotion of mental health. Dr. Khalily also highlighted the support and cooperation of the President and Rector IIUI. 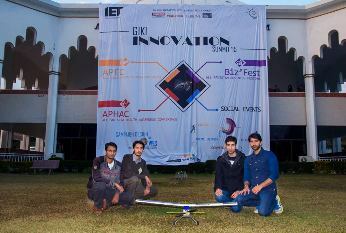 A students’ team named SOLOCRAFT CREW from Department of Electronics Engineering Faculty of Engineering & Technology, International Islamic University Islamabad participated and shinned with distinction in IET INNOVATION SUMMIT ’15 Ghulam Ishaq Khan Institute of Engineering Sciences and Technology Topi Sawabi KPK, securing two Runner Up positions out of three modules participated. 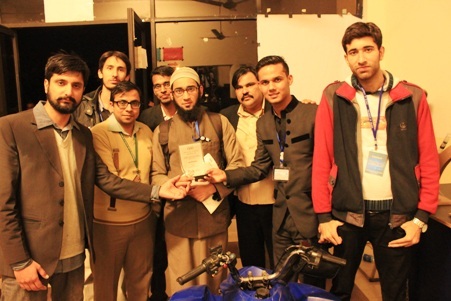 The Modules won by IIUI Engineers were in Project Exhibition and Conceive Innovate and Technical Paper Presentation. 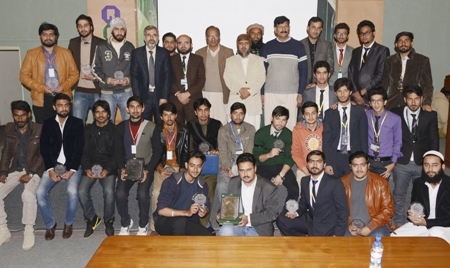 IIUI team competed with more than 350 students from renowned universities of Pakistan. The team members of BSEE F12 consisting of Syed Ali Sajjad, Muzamil Bostan, Asim Mustafa and Muhammad Ali under supervision of Engr. Adil Farooq. The jury appreciated the hard work of students and suggested them with more innovative ideas. It is pertinent to mentioned here that IIUI team has first time participated in this specific event. 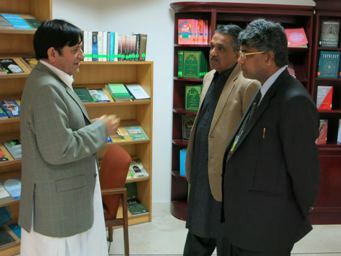 Professor Dr. Mumtaz A. Khan, Pro Vice Chancellor, University of Lahore, Islamabad Campus, Prof. Dr. Ijaz A. Qureshi visited the Central Library of International Islamic University, Islamabad. 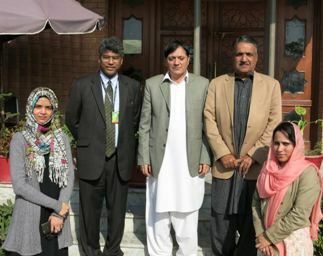 The VC UoL was also accompanied Sundas Azeem (lecturer), where they were received by Sher Nowrooz Khan, Chief Librarian who gave the brief introduction about the latest projects of Central Library i-e Electronic Theses and Dissertations (ETDs) database, indexing of articles and expansion of Lincoln Corner project. Prof. Khan appreciated the contribution of Central Library in promoting the research culture in the university. A three month long training program for Mufties organized by the Shariah Academy of the International Islamic university (IIU) concluded here at Faisal Masjid campus of the university. The course was attended by 35 Mufties across the country including 5 officials of Ministry of Religious Affairs Azad Jammu and Kashmir (AJK). The participants were given various topics for discussion to cover significant points of the course including Islamic economics, computer, objectives of Shariah, and principles of Fiqh. The concluding ceremony was presided over by the President IIUI Dr. Ahmed Yousif Al-Draiweesh. In his address, Dr. Al-Draiweesh stressed that Ulema and Mufties have responsibility to forge unity among the ranks of Muslims and emphasized on them to promote brotherhood. He was of the view that Ulema and Khutba must be aware of contemporary challenges and they should provide solution in the light of teachings of Islam. Dr. Sohail Hassan, Director Dawah Academy said in his remarks that Ulema must solve issues with the help of research and keeping in mind the Islamic teachings. “Shariah Academy is keen to create a network of learning across the Muslim world by polishing the skills of pivotal figures of societies including Muslim scholars” said Dr. Muhammad Munir, Director Shariah academy. He added that the academy is working on an MoU of bilateral cooperation with a German institution which will help in broadening the vision of trainee participants of the academy. 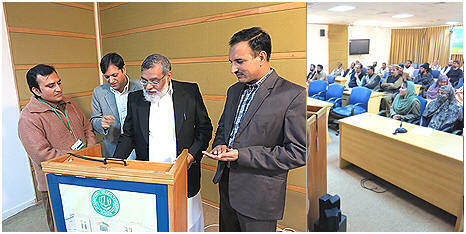 The event was also addressed by Dr. Abdul Hai Abro and Dr. Habib ur Rehman of IIUI. 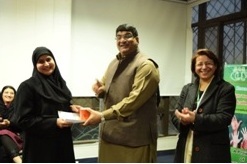 At the end, course completion certificates were distributed among the participants by the IIUI President. 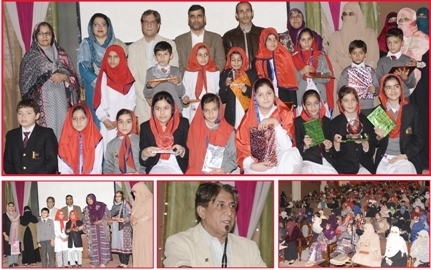 Faculty of Arabic Female Campus International Islamic University Islamabad organised “First Arabic Quiz Competition” in which more 100 students from more than 20 IIUI Schools of twin cities participated. The competition was divided into junior, senior team and individual categories in which “ALHUDHUD Al-ARABI” title was also awarded accordingly. Dr. Muhammad Bashir Khan, Vice President Academics IIUI, graced the ceremony as chief guest, while Acting Director Female Campus Dr. Amna Mehmood, Dr. Zaiton Begum, Chairman Department of Arabic Dr. Aliya, Student Advisor Female Dr. Najeeba Arif, faculty members and students also attended. In junior category IIUI School Ghuori Town Campus secured first position, while E 11 Campus stood second and F11 Campus was on third position. In senior category IIUI School Adayla Road Campus Rawalpindi stood fist, while Gulzar Qaud Campus second and Gulraiz Campus got third position. Usman Ahmed from IIUI School Ghouri Town Campus and Rafia Khursheed Gulzar-e-Qaud Campus and Maria Akbar titled “ALHUDHUD Al-ARABI” in the competition. The students were very enthusiastic when they arrived in university and Female Campus filled up with hustle & bustle. While addressing the students Dr. Bashir Khan said a bright future is associated with young blood of the country. He advised the students that they must obey the teachings of Islam and respect the teachers as to get success in life. Dr. Bashir further urged students and teachers to present fine moral character as Islam stresses and teaches of moralities. He also encouraged the students and appreciated teachers for preparation and lauded the department on organizing such a beautiful competition. Dr. Aliya also addressed the ceremony and tanked the guests for their support and participants to make the event successful. A 5th batch of three day comprehensive training program titled “Indigenous on-Campus Training” (IOT) under the Modern University Governance Program, Phase II concluded at Institute of Professional Development (IPD) of International Islamic University, Islamabad (IIUI). The concluding ceremony was graced as chief guest by Barrister Zafar Ullah Khan, Special Assistant to Prime Minister for Parliamentary Affairs, while Dr. Ahmed Yousif Al-Draiweesh, President IIUI also honoured the ceremony with his presence. In 5th batch of this training, about 40 officials form IIUI, NUST, PIDE and PIEAS attended the professional training session. In his address Mr. Zafar Ullah highly lauded the efforts and appreciated the management of IPD for conducting an effective and well managed professional development training session. He while emphasizing on professional trainings during the services said that, refresher courses and such trainings sessions are key to sustain work efficiency and balance. Barrister Zafar Ullah also said that across the world institutions arrange professional development sessions to make their employee familiar with new technologies and enable them fluent in modern methodologies. He said that moralities, values and attitude of sympathy of officials are backbone of any institution which needs to be followed strictly to maintain work efficiency. In his address, Dr. AL-Draiweesh said that university playing positive role in producing skilled professional integrated with teachings of Islam, who are serving Muslim Ummah. He further said IIUI is a hub of beautiful blend of cultural diversity shows unity and harmony. President IIUI was of the view that IIUI provides peaceful milieu to its students and university with confident members getting progress. He also thanked to Government of Pakistan for taking keen interest in university, its support and maximum cooperation. IPD has arranged this training program in collaboration with Higher Education Commission Pakistan. Earlier, thanking the HEC for its patronage, Dr. Saeed ul Hasan Chishti, Project Director IPD welcomed the participants in the training. He gave an account of innovative methodology for conducting this training session in line with a meeting the criteria chalked out by HEC to make the program a highly successful and learning activity. Mr. Kashif Sohail Malik Master Trainer and Ms. Saneeha Khalid, Training Management Specialist were also present during the concluding ceremony. German Academicians Including Dr. Ullrich Gunther from Senior Expert Services Germany and Dr. Lars Bergmeyer Country Director German Academic and Exchange Service (DAAD) Islamabad called on Dr. Muhammad Masoon Yasinzai, Rector International Islamic University, Islamabad. During the meeting they discussed different matters of mutual interest to initiate new academic programs and to develop scholarship linkages with German universities and institutions. On the occasion, Dr. Abdul Hameed Director ORIC, Mr. Awais Ijaz Khan Deputy Dean FMS and Dr. Imran Khan Chairperson CIRBS IIUI were also present. In the meeting, German experts briefed about German scholarships programs and the way forward to develop educational relations with German institutions. They were of the view that German universities and institutions are very much interested to initiate joint academic ventures with Pakistani universities. They said that Pakistan is developing rapidly in the field of education and German educational institutions along companies are very much interested in starting a joint academics and research based programs with Pakistani universities. German experts said that research supervisor would welcome Pakistani students for assistance in their research papers and other educational projects. They said German universities has a broad range to offer scholarships, joint research activities Post Doc in different disciplines for Pakistani students. Dr. Masoom said Islamic University is deeply interested to initiate particularly split degree programs and joint research and scientific projects with German universities including seminars, international conferences an d symposiums. He said that IIUI is unique and finest example of co-existence, brotherhood and provides peaceful learning environment to students in campus. Rector IIUI said Higher Education Commission of Pakistan is paying full attention higher education to facilitate students and free access to international research journals is one of remarkable facilities. Dr. Nabi Bux Jumani Dean Faculty of Social Sciences/ Director, Directorate of Distance Education, IIU International Islamic University Islamabad has become a member of Higher Education Commission’s Committee that deals Online/Virtual/Distance Learning Degree Programs in Pakistan. The Higher Education Commission Pakistan has constituted a committee for the universities of Pakistan to formulate the Distance Education/Virtual Education policy. Dr. Jumani, has been appointed as a member of the committee among The committee will be chaired by Dr. Arshad Ali, Rector, National Textile University, Faisalabad. Moreover, Dr. Bilal Zaka, Director Virtual Campus, COMSATS and Prof. Dr. N. B. Jumani will be the members of the committee. The committee will finalize the policy document and cast final guidelines on Distance Education, E-Learning and Virtual Education in Pakistan. Dr. Najeeba Arif, Students Advisor (Female) and Chairperson Department of Urdu international Islamic University Islamabad has published the collection of her Urdu poetry under the title Ma’āni se Ziyāda (معانی سے زیادہ). 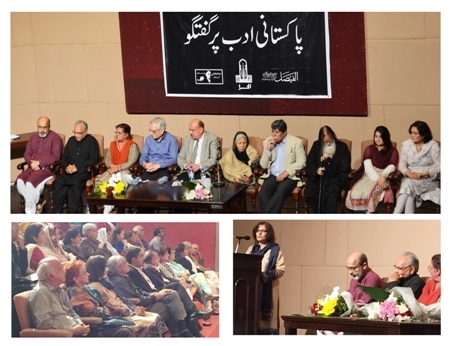 The book was launched in a ceremony held with titled “Dialogue on Pakistani Literature” organized by Mumtaz Mufti Trust in Alhamra Arts Council, Lahore. Mr. Justice R Jawwad S. Khawaja, Former Chief Justice of Pakistan and Dr. Qasim Bughio Chairman Pakistan Academy of Letters were the chief guests of the event. Mrs. Bano Qudsia, an eminent writer, chaired the program, while renowned literary figures, celebrities, writers, poets and intellectuals, including Mas’ud Ash’ar, Asghar Nadim Sayyad, Baba Muhammad Yahya Khan, Salma Awan, Sughra Sadaf, Amina Mufti and Uxi Mufti were the panelists of discussion. The ceremony was also attended by large number of renowned poets, writers, intellectuals and literary figures which was hosted by prominent TV anchor Nur-al Hassan. Sarwat Muhyuddin, a well known illustrious poet, writer and scholar read a paper on Dr. Najeeba’s book and appreciated her poetry generously. Centre for Interdisciplinary Research in Basic Sciences, International Islamic University Islamabad organized two day workshop titled “Inter-disciplinary Workshop on Research and Curriculum Development in Pakistan” at University of Bonn, Germany. The aim of the workshop was to promote cooperation and initiate joint research and exchange activities with German Universities and CIRBS, IIUI. The heads/representatives from German funding agencies such as German Academic and Exchange Service (DAAD), German Research Foundation (DFG) and Alexander von Humboldt Foundation (AVH) attended the workshop. 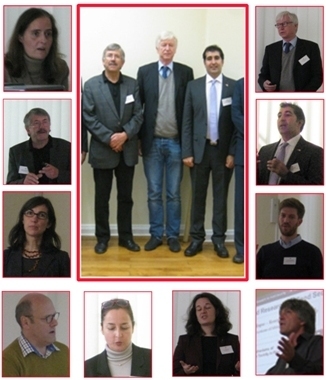 Prof. Dr. Jens Leon (INRES), Prof. Matihias Winiger (Ex-Rector University of Bonn), Head of Centre for Development (ZIF) and representatives from funding programs at University of Bonn also attended the workshop. Dr. Imran Khan Assistant Prof, CIRBS, introduced International Islamic University Islamabad and presented the objectives and future vision of CIRBS which has recently been established. All the participants greatly appreciated the concept of interdisciplinary research and lauded the establishment of CIRBS at IIUI. German academicians also expressed their willingness to support joint research proposals. The participants discussed funding opportunities available for research between Germany and Pakistani scientist/universities. The German funding agencies and academicians from Universities concluded to extend every possible help for mutual projects with CIRBS and IIUI. Dr. Imran Khan also proposed to initiate exchange program for CIRBS students. The University of Bonn Germany assured to initiate a training program for PhD students IIUI via financial support of DAAD and DFG. The second day of workshop was held at Centre for Development (ZIF) an Interdisciplinary centre for research at Bonn, Germany. Dr. Imran Khan briefed the administrative and academic staff of ZIF about, IIUI and CIRBS. ZIF agreed to work on projects of mutual interest on interdisciplinary topics in Natural Sciences. Director ZIF also invited delegation from CIRBS to discuss promising exchange program. Bazam-e-Urdu, Department of Urdu Female Campus, International Islamic University, Islamabad is going hold essay writing competition among female students of universities. Students who desired to participate in the competition get registered themselves earliest to 30th November in room number of 10 Department of Urdu. The competition will be held on Thursday 3rd of December at 11:30 am at Auditorium of Fatim ut Zahara Block. The title of the article will be given on hour before the competition which will be will be evaluated on the basis of content, style and comprehensions. The students who will get positions will be given prizes and certificates. The Central Library, International Islamic University Islamabad has developed and launched its Electronic Theses and Dissertations (ETDs) database, a digital repository of theses and dissertations produced by the university researchers and scholars. Dr. Muhammad Tahir Mansoori Vice President Higher Studies & Research IIUI was chief guest of launching ceremony and inaugurated the database. The ceremony was also attended by Mr. Sher Nowrooz Khan Chief Librarian and other library officials. It is an open access digital repository which aims to provide quick and easy access to the text/matter contained in theses for the convenience of researchers and scholars all over the world. It contains full-text theses in PDF format which can be searched by author, title, subject, year, degree, department and faculty. https://www.iiu.edu.pk/ >> Libraries >> Central Library >> Digital Resources >> IIUI e-Theses >> Click here to access it. The university faculty members, students and scholars may also get maximum benefit from this valuable source. 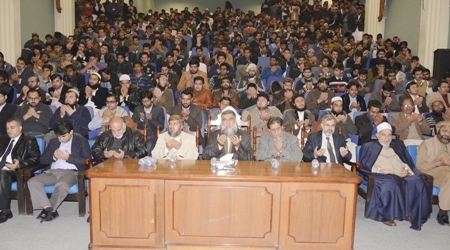 Speakers of a seminar here at International Islamic university, Islamabad (IIUI) agreed that religious scholars can play significant role in inhibiting terrorist and extremist tendencies and there is a dire need to adopt a clear narrative against the violent elements who are destroying the peace and stability of world. 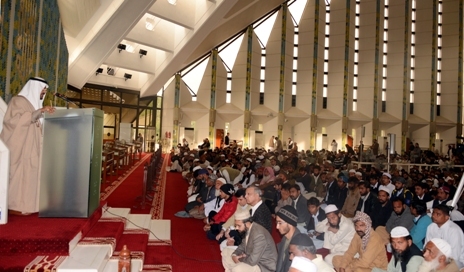 The seminar titled “The Role of Religious Leadership in Fight against Terrorism and Rejection of Sectarianism” was organized by the university at its Faisal Masjid campus which was presided over by Dr Abdullah Bin Abdulmohsin Al-Turki, General Secretary Muslim World League (MWL). 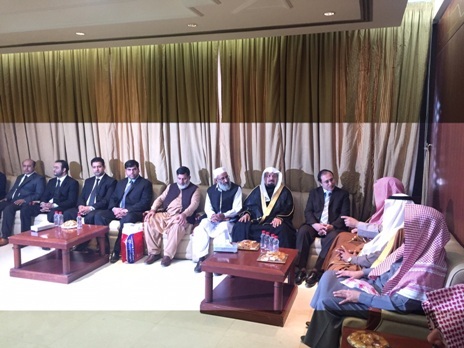 The event was also attended by Raja Zafar ul haq, Leader of the house in Senate, Maulana Sami ul Haq, Director Maktaba Tu Dawa Abu Saad Muhammad bin Saad Al-Doussri, Director General Rabta Aalame-e-Islami Pakistan Muhamad Abduho Ateen, Cultural Attaché of Saudi Arabia to Pakistan Dr Haza Al-Ghamdi, diplomats of Saudi Arabia, Tajikistan, and other countries, while IIUI Rector Dr. Masoom Yasinzai and President IIUI Dr. Ahmed Yousif Al-Draiweesh were also present in the seminar. “Muslims facing injustice especially in Palestine” said Raja Zafar ul Haq while urging for joint efforts for protection of Muslims. 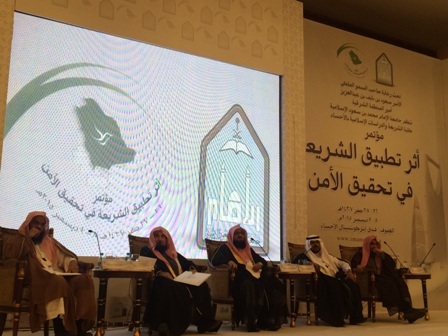 He said that Kingdom of Saudi Arabia must be lauded for its efforts for protection of Muslim. “ KSA measures in this regard are being supported by entire Muslim world and particularly by Pakistan” he said. “People, who know less about Islam, associate it with violent attitudes, which is in appropriate” said MWL General Secretary. He added that educational insinuations such as IIUI are of vital importance to create awareness among the masses about Islam’s true message. Dr Abdullah Bin Abdulmohsin urged the students and Muslim communities to adopt the attitude of research. He lauded support of Pakistani and Saudi governments for character building of the students and efforts for dissemination of Islam’s message of peace. Rector IIUI said on the occasion that university has been producing scholars of various disciplines with added advantage of Islamic teachings for three decades. He added the university is focused on producing moderate personalities with a vision of Islam’s message of tranquilit. “ students of 45 countries acquiring quality education in serene educational milieu” he told. “Dr. Al-Draiweesh urged for joint efforts for devising comprehensive stratigies for image building of Muslim countries while stressing that negative propaganda against Islam be exposed and world must be introduced about true teachings of Islam . “ Muslim Ummah, its religion and culture is unjustly accused of terrorism and any effort to correct this perception is not taken seriously and the role of Muslims in international co-operation, peace and global stability is ignored” Said IIUI President. 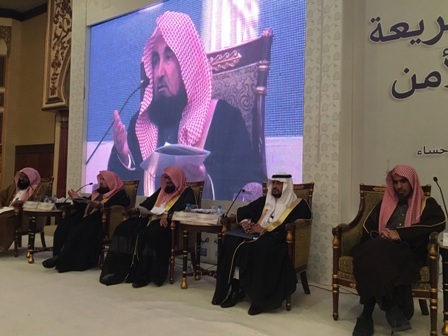 The seminar emphasized the significance of strengthening the relationship between the Muslim scholars and the society at large specifically the youth. The scholars, Muslim delegates and speakers of the seminar recommended establishing channels for communication and continuous dialogue with the male and female university students and other training organizations on topics related to terrorism and extremism. The participants also suggested revision of the teaching and educational methodologies in the light of Islamic creed, and finding way to empower the educational organizations in Islamic societies. Scholars, researchers and academicians from Pakistan and other countries who participated in the seminar presented working papers dealing with various aspects and angles of the main topic. A 5-week long Arabic Learning Course for Chinese students of International Islamic University (IIU) commenced here at Faisal Masjid campus of the university. 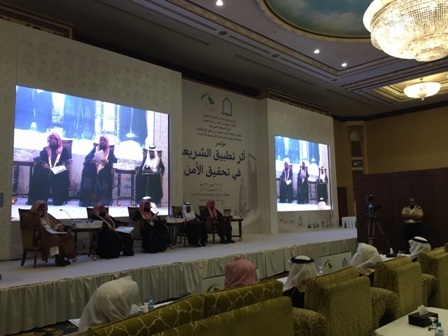 The course has been launched by the Faculty of Arabic of the university with the cooperation of the Muslim World League (MWL) which was inaugurated by the General Secretary MWL Dr Abdullah Bin Abdulmohsin Al-Turki. The inaugural ceremony of the course was also attended by the Director Maktaba Tu Dawa Abu Saad Muhammad bin Saad Al-Doussri, Director General Rabta Aalame-e-Islami Pakistan Muhamad Abduho Ateen, Cultural Attaché of Saudi Arabia to Pakistan Dr Haza Al-Ghamdi, Rector IIUI Dr. Masoom Yasinzai, President IIUI Dr. Ahmed Yousif Al-Draiweesh, Dean Faculty of Arabic Dr. Hafiz Muhammad Bashir, other delegates of various countries and other university faculty members and officers. Dr Abdullah Bin Abdulmohsin Al-Turki advised the students to devote themselves for acquiring knowledge and termed them as ray of hope for Ummah. 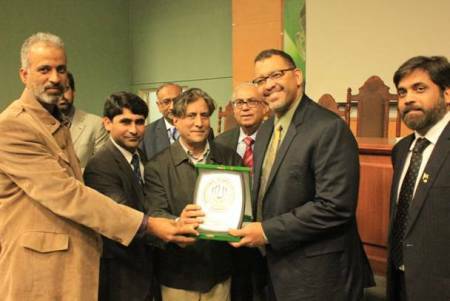 He lauded IIUI for nurturing the young minds of Muslim world in the light of Islamic teachings.